If somebody ask me my favorite destination for tourism then I will prefer to go to Hallstatt, a wonderful town of Austria. 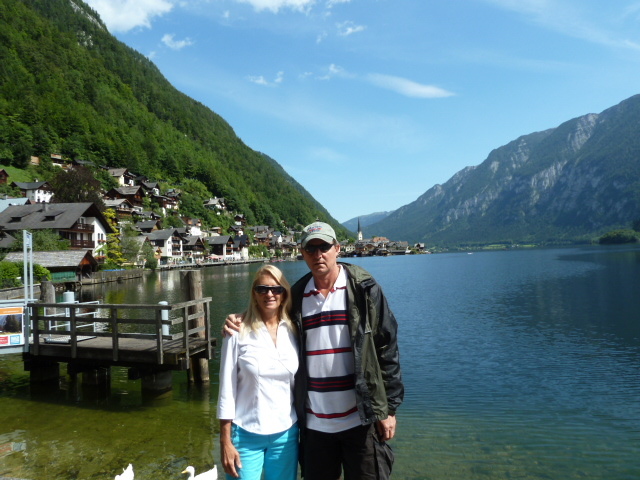 Hallstatt is basically village comes under Salzkammergut region of Austria. However, the town is famous for countless things and salt production is one of them. 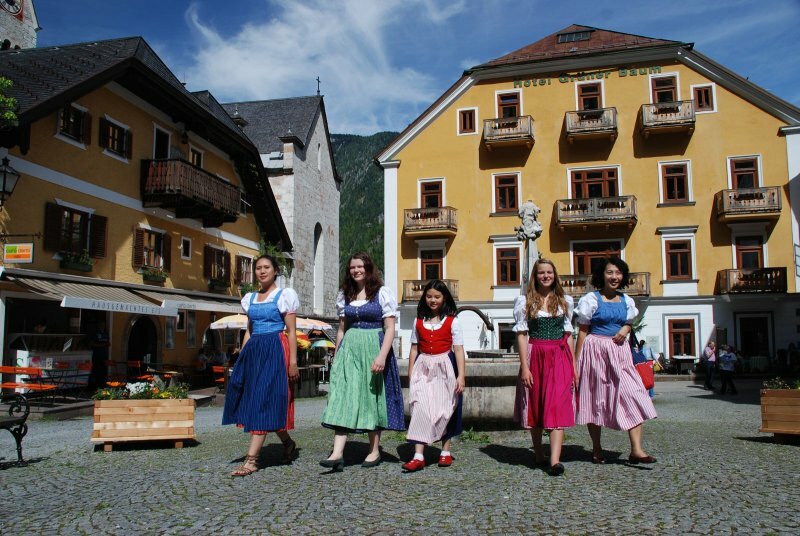 Culture of Hallstatt is similar to Celtic, pre-Illyrian and Proto-Celtic people of Europe. I personally believe every tourism place is unique and have different features. Hallstatt is beautiful and full of nature made locations. The clear and striking images available at Google and different websites are enough to state that this place is wonder and best creation of God. 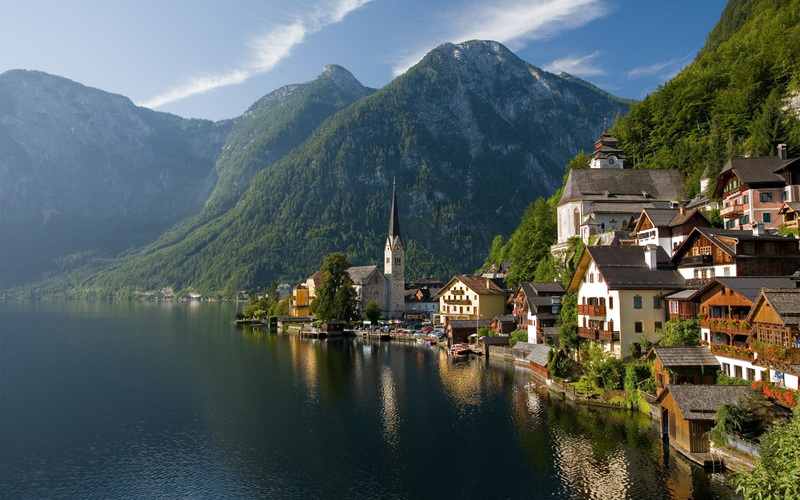 Hallstatt town is also declared as UNESCO World Heritage site because of human activity and natural landscape. The ancient history is spectacular of Hallstatt. Describing the beauty of this world tourism place is not possible in simple words so we will not waste the time of our best readers and will discuss about the tourist attractions of the town. Hallstatt town is 7,000 years old and its more older than Rome. Hallstatt City View: View of this amazing city gives different feeling to you. 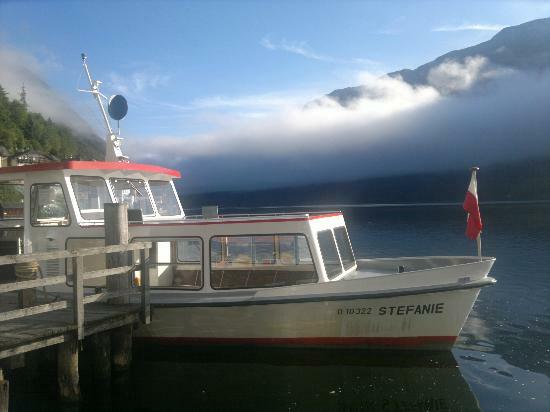 Start your journey from Hallstatt bus stop and take pleasure of panoramic view of lake, mountains backdrop, green valleys and swans view in the lake. Austrian King Franz Josef brought swan to Hallstatt in 1860 and Empress Sisi came here on annual retreats. 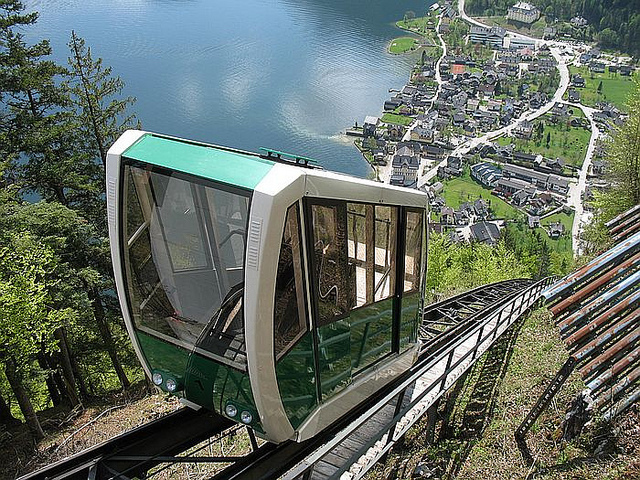 Funicular: Next attraction of the town is Funicular an amazing spot. Funicular is surrounded with Alpine mounts. I am a good trekker and I love to visit exiting and dangerous places for my adventure. However, Funicular is not at all trouble location, but the trekking of 3 minutes to climb 855 meters height is best experience here. Rudolf's Tower: Also known as Rudolfsurm is another spot for voyagers. Rudolf's Tower is having 855 meters more height than Hallstatt town. Surrounding view is best to do from Rudolf tower. Construction of this tower was done in 1282 by Duke Albrecht of Austria. 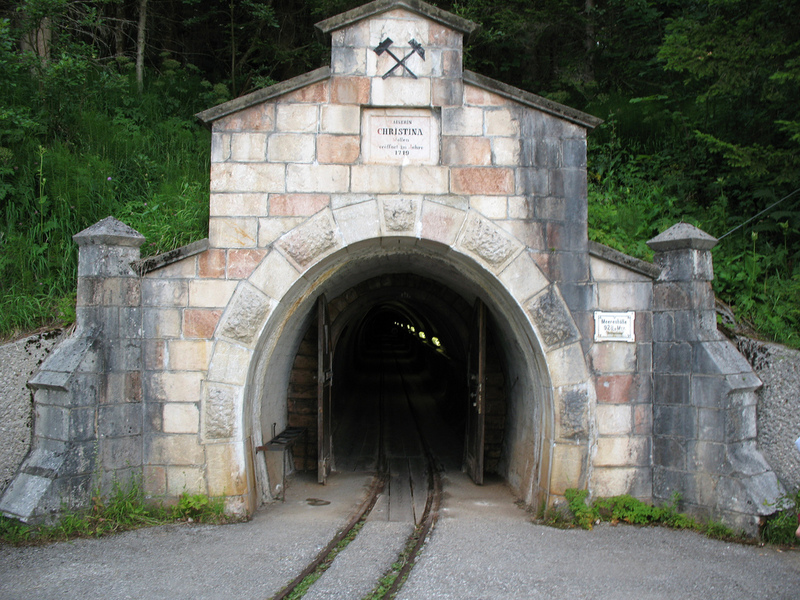 Hallstatt Salt Mine: Also recognized as Salzwelten is the place famous as oldest salt mine. In early 19th century, the labors discovered a pick built of stag horn and that was the starting phase of this mine place. As per sources the mine is nearly 7,000 years old and that makes this place oldest mind of the world. 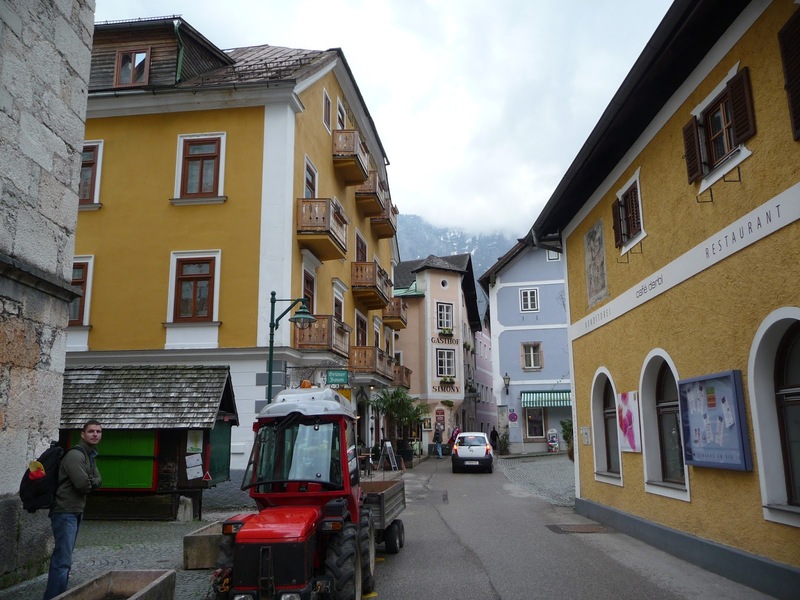 Hallstatt Stroll: Frankly speaking, the Hallstatt is wonder place and the major attraction of the town is their tight timber homes. The houses are built close to each other like a single wall is used for two houses. One thing is for sure that you will not get this kind of view in the world except Hallstatt. Braugasthof: A computer guesthouse served as the salt manufacturing office. The quick ground developed center since beginning that is also known as Market Brewery. 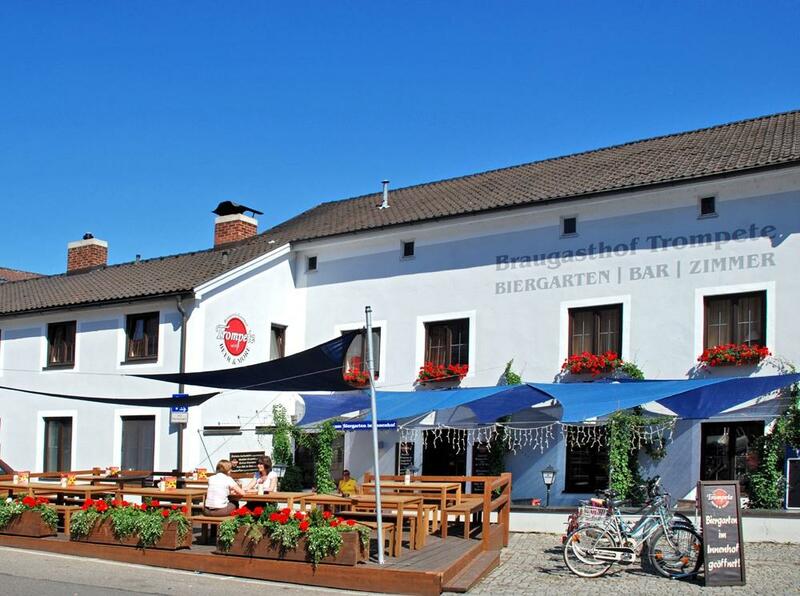 It is basically a restaurant famous for stack beer known as Braugasthof. 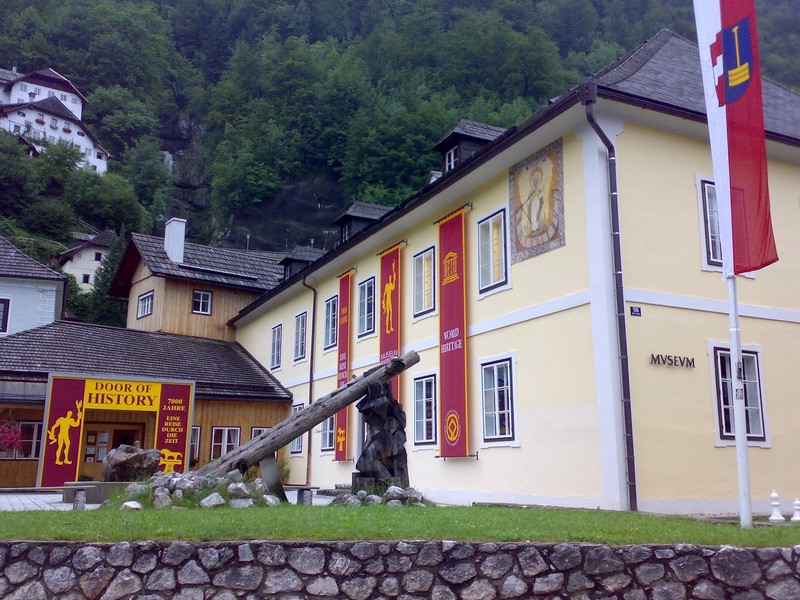 Museum: History of any place can be learnt by visiting museum and the similar rule follows with Hallstatt. This town is major source of salt production, but the power came to the city in nearly 800 to 400 BC. Since that period Hallstatt town got popularity and got trade connection with many big nations. This museum established in 2002 is having stuffs that help people to learn the 7,000 year old history of the town. Dirndl-To-Go: You love to click images at different locations, then reach Dirndl-To-Go. A place where you will feel like you are at World Heritage center. This is the busiest area of Hallstatt and time hours when you can click more photos are form Wednesday to Sunday between 1pm to 6pm. Gasthof Simony: The narrow pathway market where you can buy some amazing handmade stuffs. You will get some memorable places here so don’t forget to carry your camera. 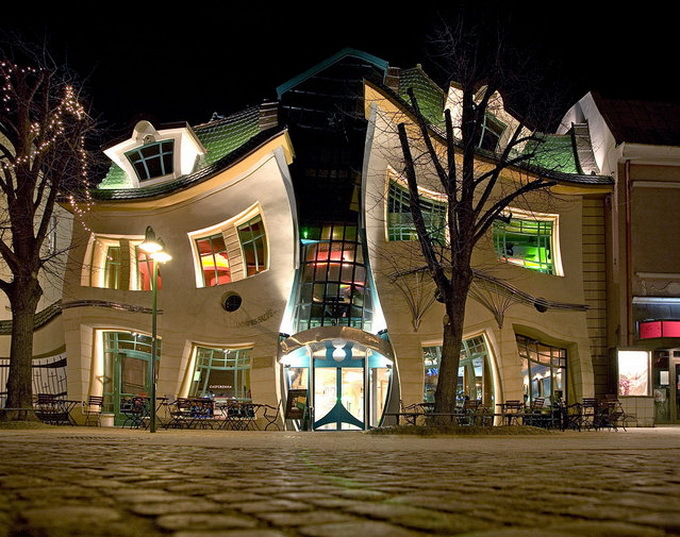 Alley's buildings are key attractions of Gasthof as they are made of bright multicolor stone. Market Square: One more spot for you also known as Marktplatz that is famous for early age livings. 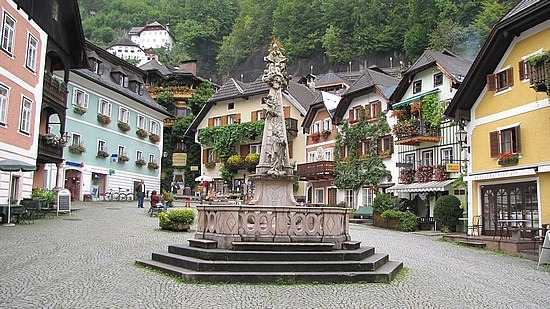 After seeing this square you will easily get the idea about the glory days of Hallstatt. Here Christmas is big festival and travelers must plan their trip on Christmas holidays. Talking about each space will get you bored. 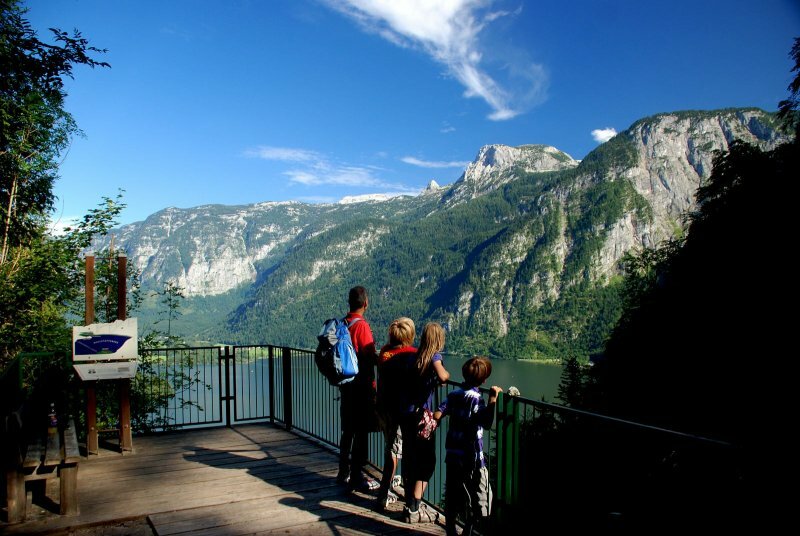 In short, some other knowing places to visit in Hallstatt are Gasthof Zauner, Ruth Zimmerman's Pub & Café, Gasthof Gruner Baum, Protestant Church, Stepanie Boat Ride, Catholic Church & Cemetery, Bone House and Classic View Point. Boat riding: the boats and yachts in lake are major attraction for travelers. The reason is surrounding of lake is full of snow peaks and greenery. You will get different experience by visiting Hallstatt. The boat ride will take you to the tiny railway station. However, you can plan your return to your home from Attnang-Puchheim stations. By Train: Hallstatt station is available having train line is between Salzburg and Vienna, though you have to get down at Attnang-Puchheim. From this place you have to get the train of Obertraun and Bad Ischl. Hallstatt station is closer to Bad Ischl then Obertraun. By Bus: Cesky Krumlov Shuttle is available in Hallstatt that is used as door-to-door transportation from Hallstatt to Salzburg, Český Krumlov and Linz. Bean Shuttle is one of the cheapest shuttle available between Cesky Krumlov and Hallstatt. World tourist place Poland is our today’s target. It is basically the Republic of Poland country of Central Europe. Its west direction is bordered by Germany, south is bordered by Slovakia, the Czech Republic, Ukraine, east with Belarus and North with Baltic Sea and Kaliningrad Oblast. The nation is having landscape of 312,679 sq Kms that is equal to 120,726 sq mi. Poland is 69th largest nation in the world, though its 9th largest country in Europe. Average population of Poland is 38.5 million listed as 34th most crowded country of the world. Travelers are reaching Poland regularly as the country is having countless places to visit. This global tourism place is constantly visited by people and the strength is increasing every year. We can say tourism is the major source of income of this nation. Some of the best cities of Poland are Krakow, Wroclaw, Warsaw, Gdansk, Poznan, Torun, Lublin and Auschwitz. Oswiecim is also famous for German base camp established long time ago. The finest leisure locations of nation are Masuria Lake District, Tatra Mountains, Baltic Sea coast, Sudetes and Bialowieza thick Forest. There are countless historical monuments, business points, qualified tourism spots, agro tourism destinations, trekking places and climbing locations in Poland. World Tourism Organization ranked the Poland as 17th most visited place of 2012. 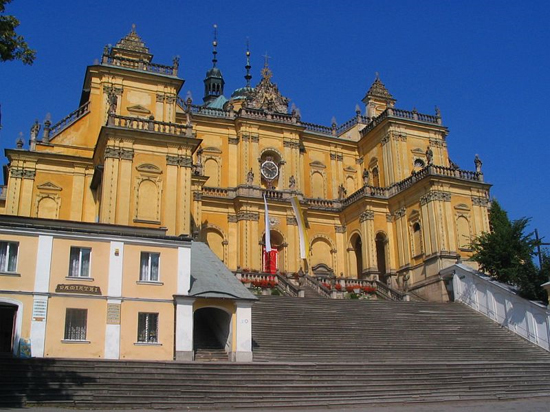 Poland, especially after 1989 and joining of the European Union in 2004 became a place frequently visited by tourists. 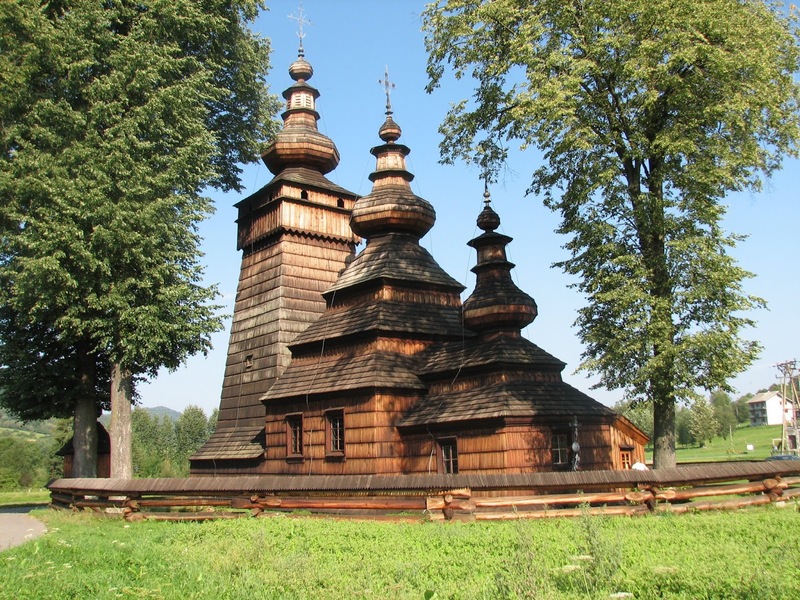 There are numerous natural environment spots in Poland that are relatively untouched by human development. Whichever place we visit the major attraction spots are mountains, forests, and sea-coast and lake reserves. Poland is full of these places though some main locations are Tatra Mountains, Karkonosze, Orla Perc, Table Mountains, Lower Silesian Wilderness, Białowieza Forest, Bieszczady, Pojezierze Mazurskie, Dunajec River Gorge, KNP (Kampinos National Park) and some more. Warsaw funny spots, Royal Road of Krakow, Royal-Imperial road in Poznan, Bialystok Jewish Heritage Trail, European city Routes of Brick Gothic like Torun and Kołobrzeg, Historic buildings, Krakow, Old Town, Wroclaw, Historic centre, Market Square, Ostrow Tumski, Multimedia Fountain and Centennial Hall. Mount Ślęża, Wooden Churches in Jawor, Klodzko Fortress, Project Riese, Lubiaz Abbey, Grussau Abbey, Wooden stave church of Karpacz, State Museum of Auschwitz-Birkenau, Church of Southern Poland, Jasna Gora Monastery in Czestochowa, Ostrow Tumski and Poznan Old Town are few more impressive locations of Poland. The other best locations are Gniezno Cathedral, Kalwaria Zebrzydowska Sanctuary, Medieval Town of Torun, Gdansk Old Town, Stargard Szczecinski Augustów Canal, Zamosc Old Town, St. Mary's Church and Muskau Park. Poland is having historical values and that is the reason there are countless castles available for voyagers. Some best castles are Wawel Royal Castle, Malbork Castle, Ksiąz Castle, Chojnik, Czocha Castle, Royal Castle, Imperial Castle, Grodno Castle pl, Grodziec castle, Niesytno Castle, Gorzanów Castle, Gola Dzierżoniowska Castle, Kliczków Castle, Krzyżtopór, Ogrodzieniec and Dunajec river castles. Pomeranian Dukes' Castle of Szczecin is also special for visitors. Once you visit the Poland nation you must visit their villages. The best villages of this country are Chochołow, Bączal, Srebrna Góra, Lower Silesian Voivodeship, Henryków, Oleśnica Mała, Legnickie Pole, Gogołów, Wambierzyce, Trzęsacz and Dendrological Garden of Pyrzyce County. If you have love towards cultural events then you can attend Good Beer festival in Wrocław, Film Festival of New Horizon, Wratislavia Cantans, IFCPC (International Frederick Chopin Piano Competition), Autumn Music Festival of Warsaw, Jazz Jamboree, SISF (Sopot International Song Festival) and Transatlantyk. 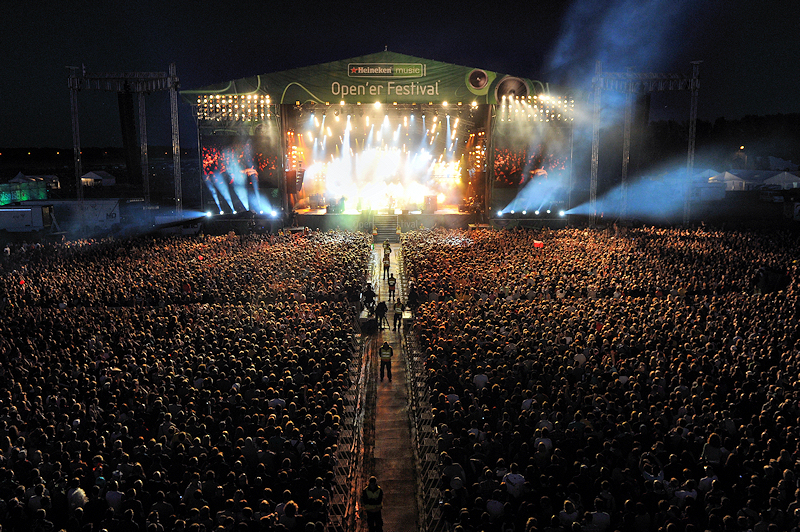 Gdynia’s Open'er Festival is also special event of the country. Transport in Poland: transport mode of Poland is regularly improving as the tourists are frequently visiting the cities of Poland. 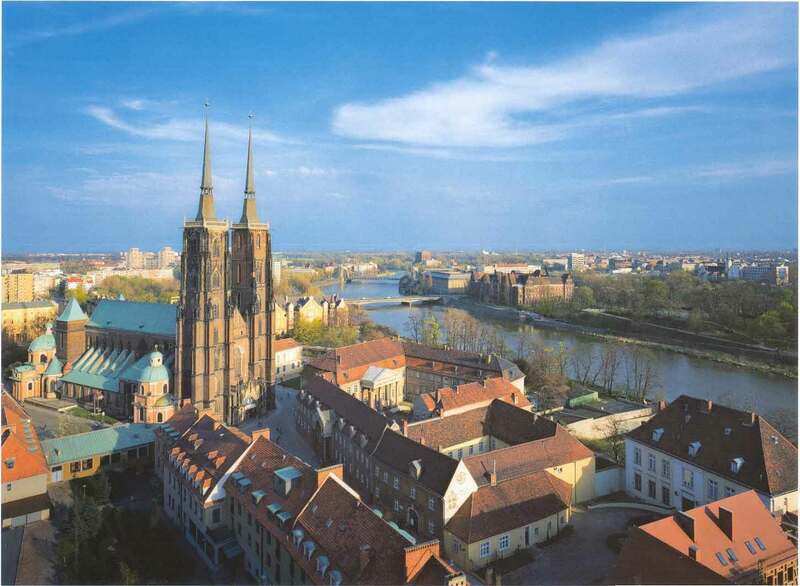 The big cities such as Cracow, Poznan, Wroclaw, Gdansk and Szczecin are mostly attended by the travelers. These cities are holding the big settled airport which means travelers can easily reach their favorite location in lesser time. FCIA (Frederic Chopin International Airport) of Warsaw is properly connected to big nations throughout the world. Intercity travel trains are other mode of transport in the country. You can get the local trains from Koleje Dolnośląskie, Koleje Mazowieckie, Szybka Kolej Miejska (Tricity) and some more cities. Luxury buses are also accessible for various places from major cities of Poland. Are you looking for the place where you can spend your holidays? 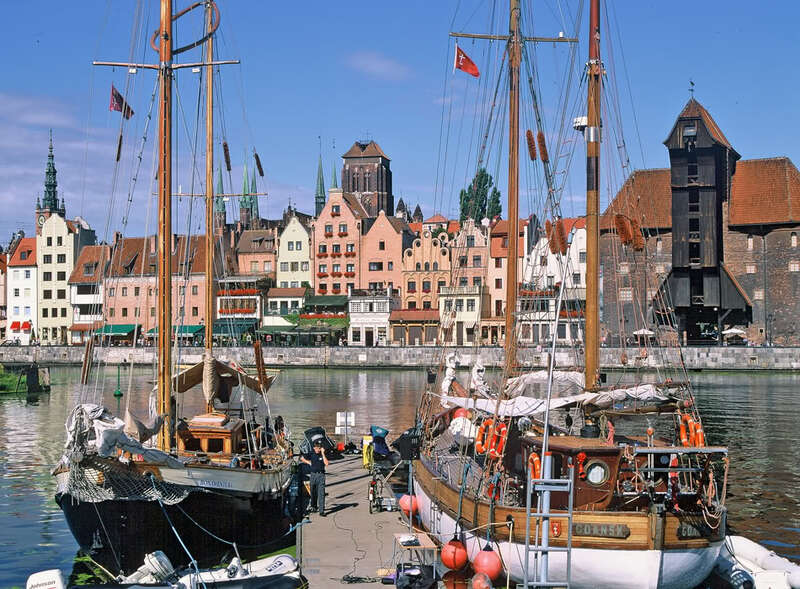 Go for Copenhagen a wonder world tourist place of Denmark. 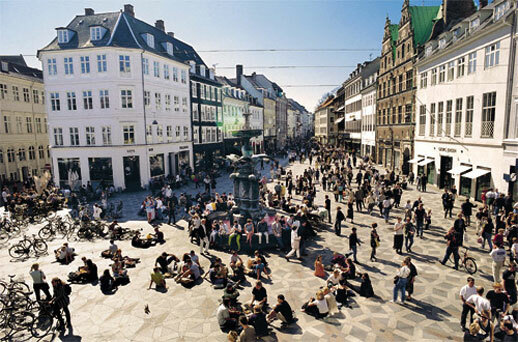 Copenhagen is the capital city of Denmark and average population is 1,967,727. Reaching this destination will allow you to enjoy some more nearby best tourist places. You can attain to Zealand (only 42 km far), Sweden (164 km distant), and Malmo (102 mi far). It’s a basically fishing village originated in 10th century. The City Copenhagen was declared capital of Denmark in initial period of 15th century. City was gone under redevelopment period at regular interval so the development ratio of city is more than other cities of Denmark. Today city is holding strong urban and civilizing development. Its beautiful place and you can justify the place with some astonishing images present in the note. 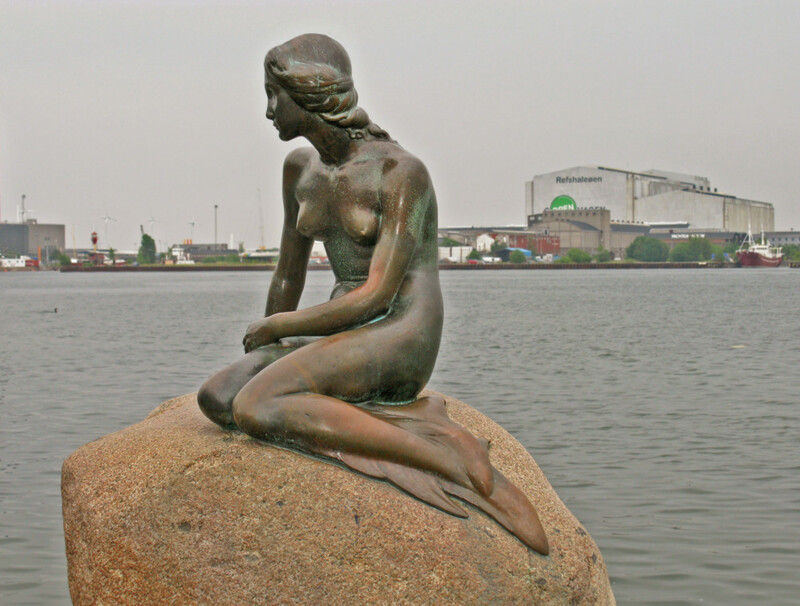 There are more than 30 tourist attractions in Copenhagen, though few important places are only described in this note. 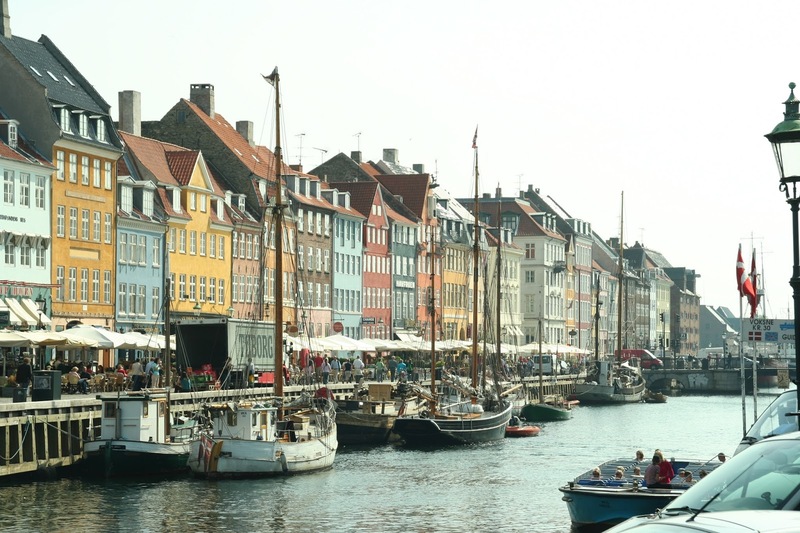 Nyhavn: A beautiful town with amazing structural designs is first destination in this place. 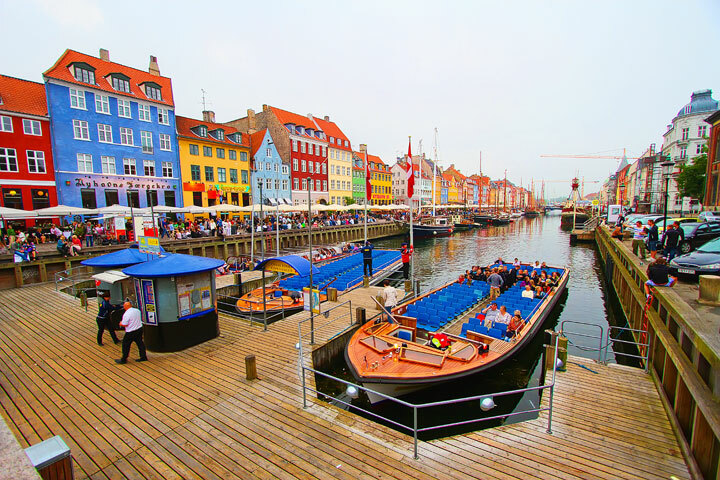 Don’t forget to go for canal tours in Nyhavn because that is the way to enjoy the town while sitting in boat. Take pleasure of water side tour in Nyhavn. Taste the delicious food of Denmark at this place as countless street hotels and restaurants are available in good quantity. Cruise in Copenhagen is another best thing to do. 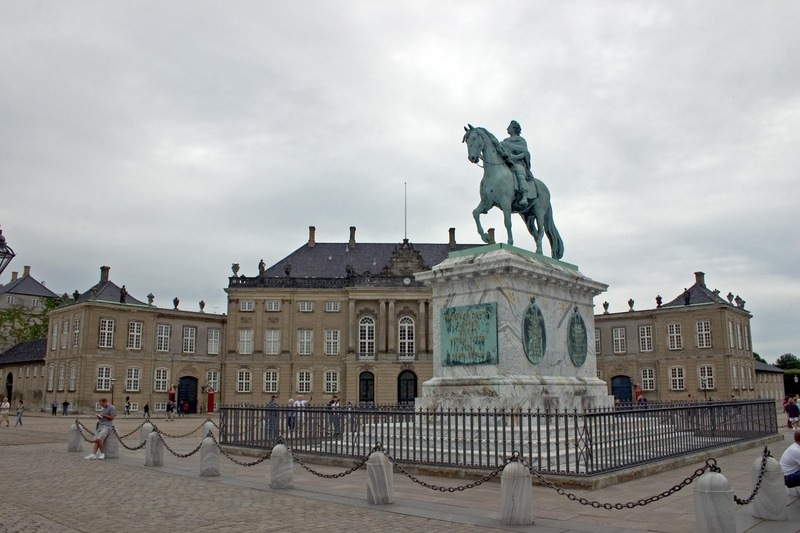 Amalienborg Palace: Next spot to visit is Amalienborg Palace that is Danish monarch’s winter house with impressive waterfront. Changing of guard is the major attraction of palace and local people are gathering Amalienborg at such time. 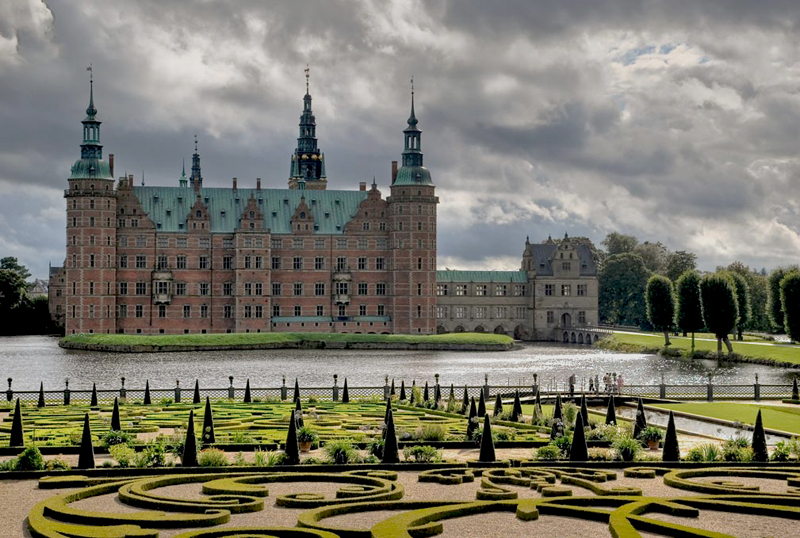 Frederiksborg Castle: Another palace in Hillerød is available for you. This castle was constructed under the ruling period of King Christian IV. Surrounding area of palace is managed by local administration and its best area to make holidays special. 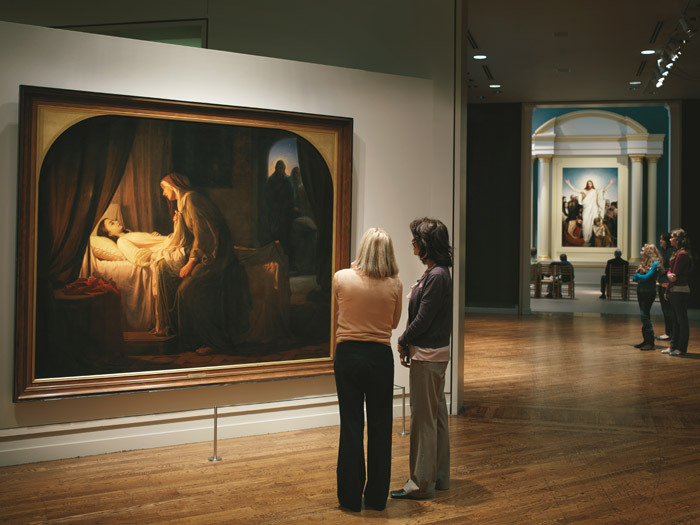 Carl Bloch Paintings: Are you a fan of religious art? Reach Carl Bloch paintings in Frederiksberg Palace. Amazing painting in best palace could be different experience of life. Experts suggest the paintings as best art of the world. 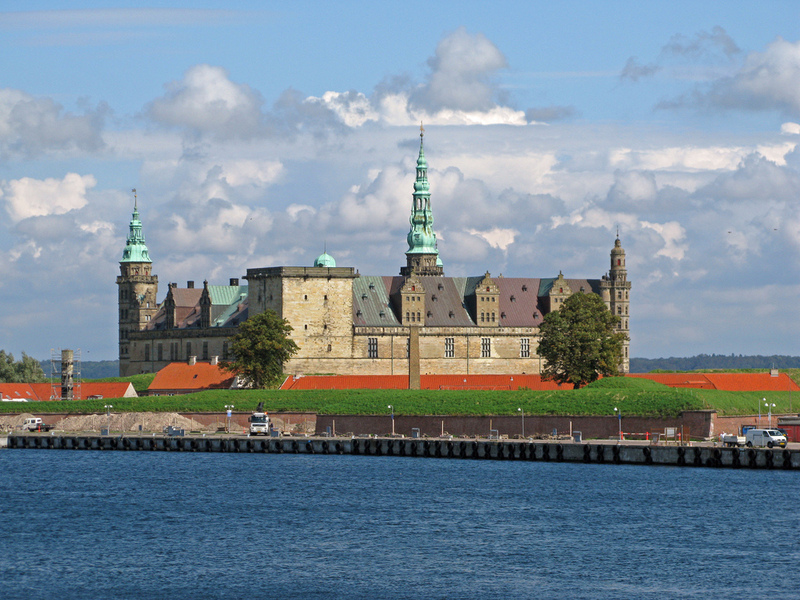 Elsinore and Kronborg Castle: the two palaces famous as tourist spots of Copenhagen. First is Kronborg Castle complete with moat. Other is Elsinore Castle located at few hours distance from Copenhagen central part. Copenhagen is having countless palaces, castles, parliament buildings and historic edifices. 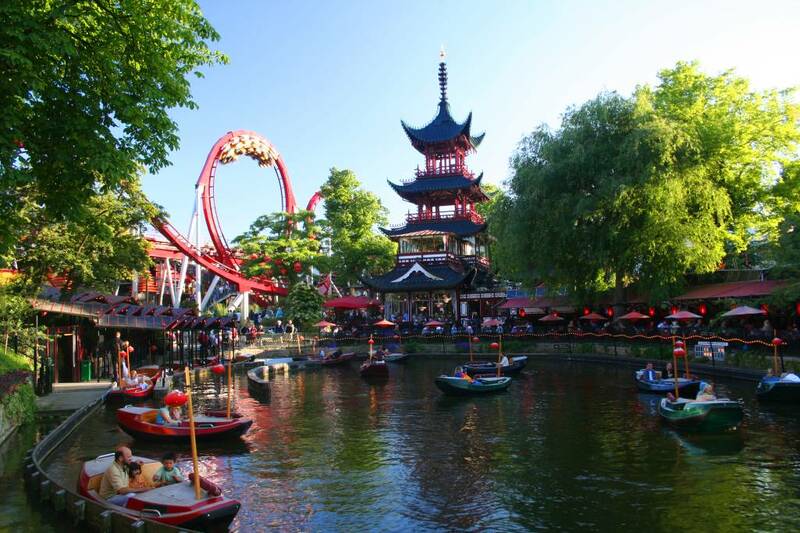 Tivoli Gardens: One more spot of Copenhagen known as Tivoli. Constructed in 1843 and famous for shows. These gardens are used in many Hollywood movies as well. Park is having activities, amusement park rides and exhibits. Strøget: A town located at only 1.1 km distance is having world’s longest pedestrian. Walk at this enjoyable street area and do shopping at street shops. 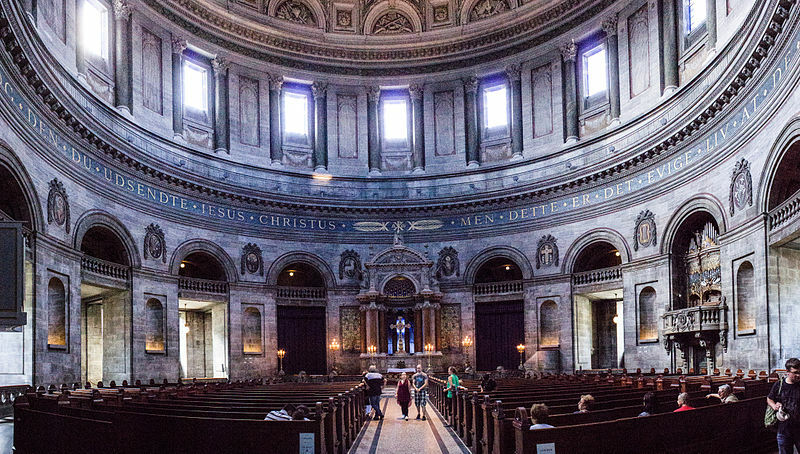 Frederiks Kirke: It’s a marble church popular for amazing structure. Many people refer this church as Lady Copenhagen holy spot. Church of Our Lady: Amazing sculptures make this place first choice for travelers. 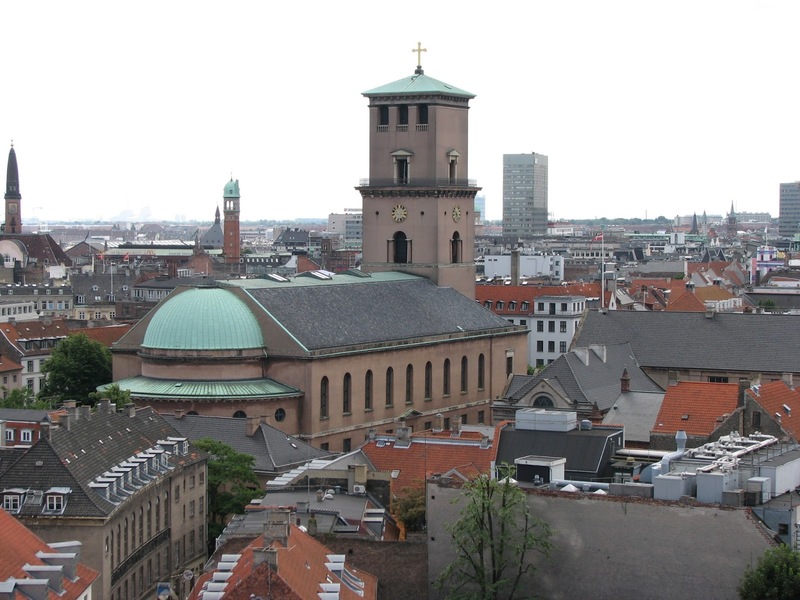 Church is having related story of Christ and his last struggling period so people must visit this spot once they reach Copenhagen. Little mermaid structure is most demanding and favorite item for voyagers. The Little Mermaid: If you love to attain special locations then reach little mermaid spot. There are many statues related to mermaid developed at different years. Multiple view spots gives different feelings to the voyagers. 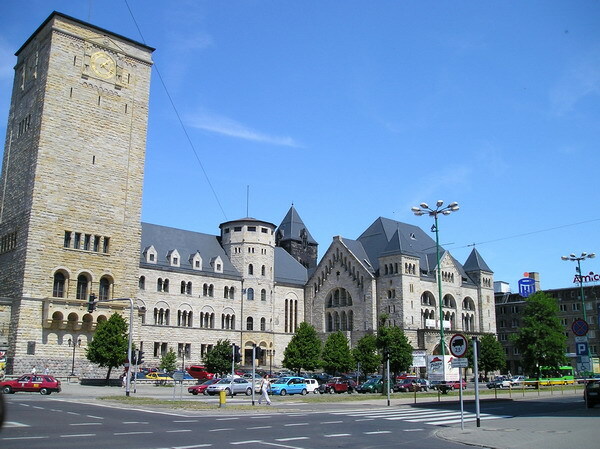 THIs world tourist place is big city of central Europe continent and famous for amazing structural buildings. You can reach the town by air, train, ferry, bus and cruise. By Rail: Trendy Vesterbro of local station is best mode of transport in city. If you have planned to visit any nearby place of Copenhagen then this station is best spot to get transport for other regions and cities of Denmark. Experts suggest this station as gateway for public transportation in Copenhagen and nearby places. EUrail is mostly used mode of transport by local people in Denmark. By Air: Copenhagen airport is having direct flights from various parts of the nation. International flights from Delhi, Bangalore and other parts of India are available as well. 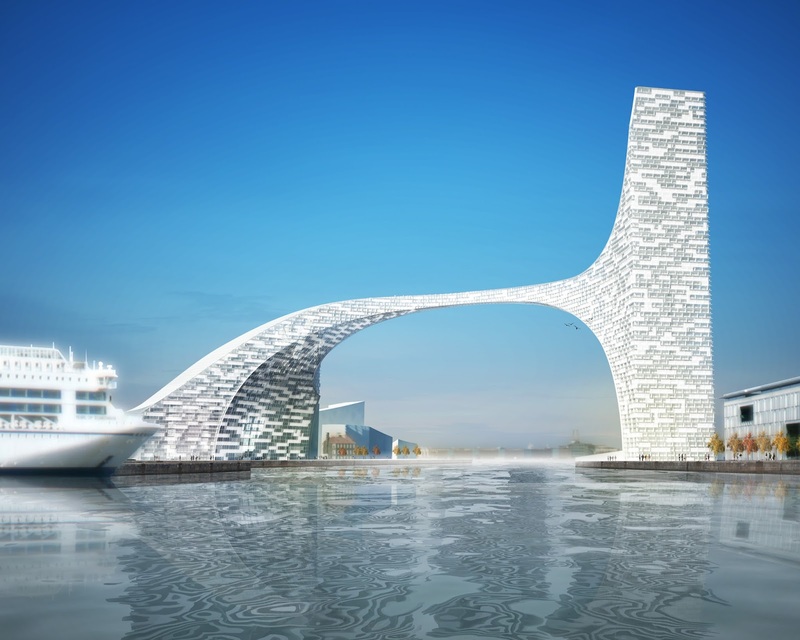 By Sea: there are three different cruise terminals in city known as Langelinie Quay, Freeport Terminal and Nordre Toldbod. 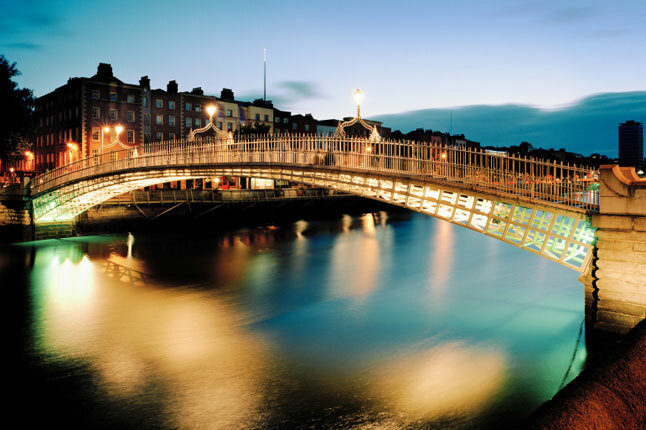 Dublin one of the best world tourist places is our next target. 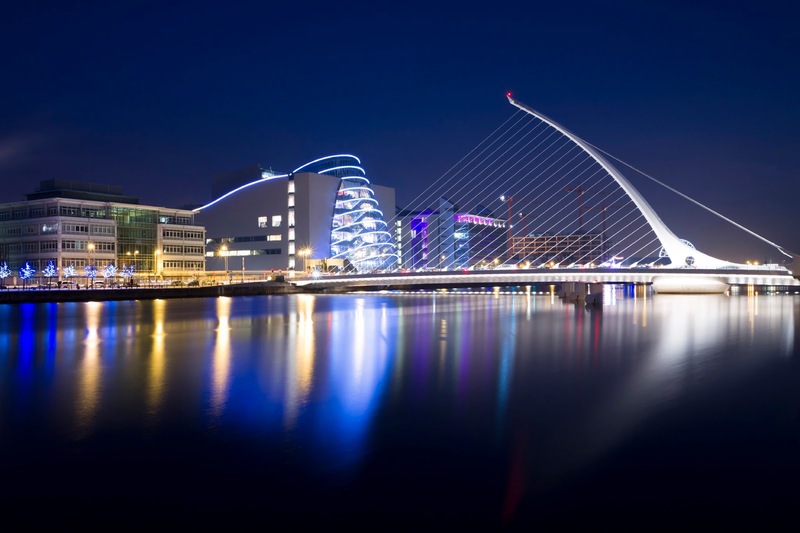 We will discuss in short about the history of Dublin and their major attraction spots. You are going to get the beneficial information if you are planning your trip to any of the world tourist destination. 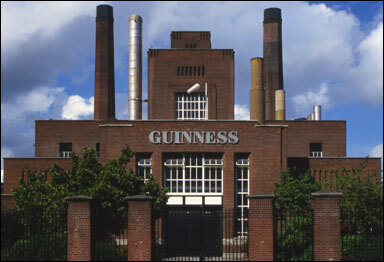 Guinness Store House: The best but little expensive place is on the top spot of attraction of Dublin. To enter the house you have to buy tickets of approx €13.50-$19 for adult. However, this is the must visit place of Dublin structured shape of giant pint glass. There are 7 floors in the building and each floor is made of different style. You can easily view how the Guinness is completed. Attain to top floor first because that is the most fun loving floor of house popular for Gravity Bar. 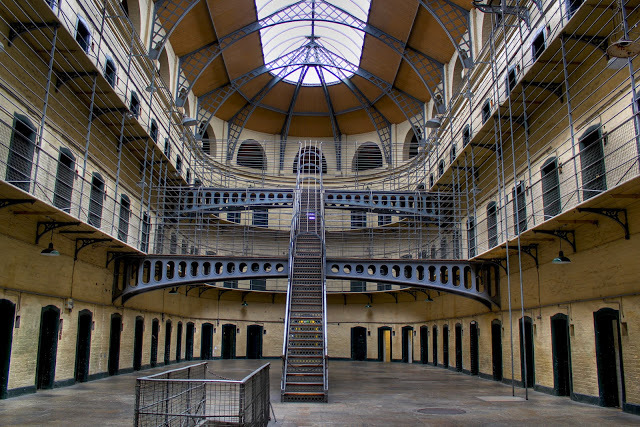 Kilmainham Gaol: It’s a museum popular for historical buffs of Dublin. You can learn history of Ireland once you visit this place. Collection from the 1916 Easter rising is major thing to watch in museum. To reach Kilmainham Gaol you have to travel for 15-minute distance from the central part of Dublin city. You need more time to see each corner of Goal. 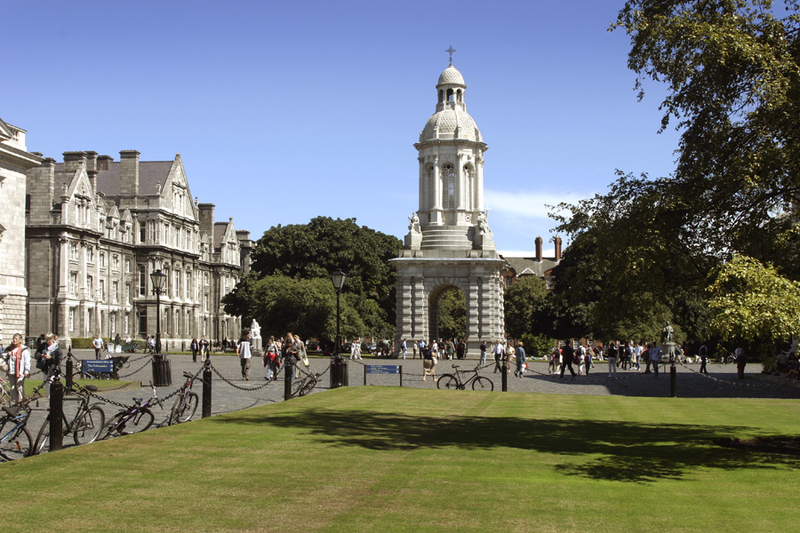 Trinity College Dublin: A topmost place of city is available for you known as Trinity College. This place if famous for Book of Kells and Long Room is also special spot of the place. Purpose of creation of this big room was to inspire people about Star Wars Episode “Attack of the Clones.” Establishment of college was done by Queen Elizabeth of England in 1592. Phoenix Park: One of the biggest parks of Europe is Phoenix that is two times bigger than central park of New York. Phoenix Park is a part of President Aras Uachtarain home and also linked to the Dublin’s zoo. National Gallery of Ireland: You might know that Dublin is most expansive city of Europe, but still the place is worth for price because it is properly maintained with latest technology and the city is featured with best attraction spots. If you are entering to the national gallery or museum then it’s free of cost. Yes this place is absolutely free to enter and it holds the collection of more than 2500 paintings. There are around 10,000 different forms of work done in the museum. Leinster House: another spot for voyagers in Dublin popular as home of Irish assembly. This magnificent building is complete with historical stories and entry is again free in this house. However, booking need to be done in advance because limited people are allowed to enter the house. Croke Park: A headquarters of sporting body of Ireland is next place for voyagers. GAA (Gaelic Athletic Association) is the in charge of Gaelic football. Croke Park is the one of the largest stadiums of Europe popular for Irish cultural events. St. Patrick’s Cathedral: The largest church of Ireland is our next destination. St. Patrick church is closer to city center founded in 12th era. This historical place is popular for Jonathan Swift who was the author of famous novel Gulliver’s Travels. He was the dean of this church between 1713-45. 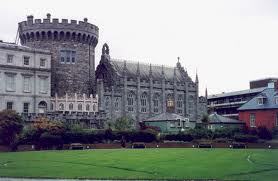 Dublin Castle: a fort or a castle popular for Ireland’s British rule is another spot for voyagers. 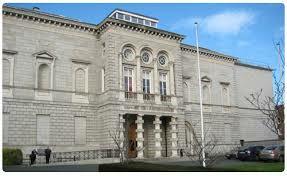 Chester Beatty Library is first location of castle to visit housing some finest stuffs of Eastern art. No charge is to be given for admission in the castle and voyagers can attain to police museum as well in the castle. Christ Church Cathedral: A small walk from St. Patrick’s church and you will reach to Christ Church cathedral. One of the oldest buildings of Dublin is available for you. Some exhibitions are conducted in this place at various occasions. For events you have to pay a fee of €6 that is equal to $ 8.47. By Road: Some private companies are offering bus service for Dublin City. However, transport is a little concern in the town. Firms that are popular for bus servicers in Dublin are Dublin Bus and Principal one. Their fare is differing based on the distance so we can say they are not flat in prices. By Air: Dublin is holding International Airport and around 18,000,000 travelers are using the air services of Dublin every year. According to statics Dublin airport is listed in one of the busiest air bases in Ireland. Experts list this airport on 5th position for fastest growing air hubs of Europe. Ryan Air and Aer Lingus are two big airlines having frequent flights from several nations for Dublin. By Sea: The seaport of Dublin is also the major source of transport. This largest seaport is popular for high-capacity ferries that mean number of people can use the ferry as transport. “London” a stunning capital city of England is our next world tourist place. It is completely populated city still people in large amount are reaching the attraction spots of London at regular interval. City is so popular among youngsters and abroad visitors. This urban area is located close to Thames River. The rapid growth of the city makes it special destination for people. It is one of the best metropolises where every person wants to visit. The reason behind demand of London city is its fast development. 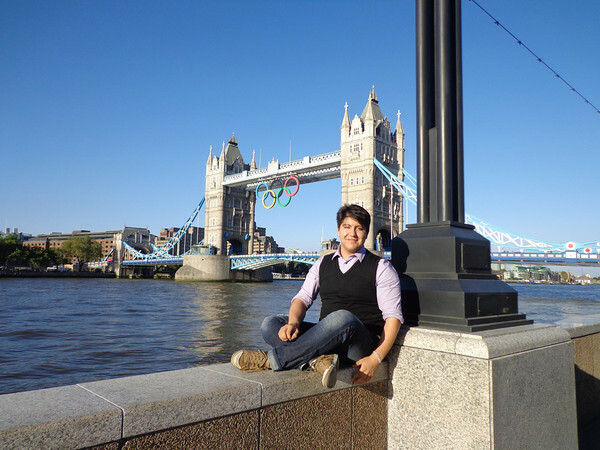 Youth from different nations are regularly trying to reach London for their career. However, this leading city is having countless tourist attractions and if you are planning to visit this stunning place then this short note will guide you about the exciting destinations of London. Before describing the spots of London city its important for us to know history of the city. In ancient period the city was named as KaerLud and then changed to Londinium which is the Roman word. King Lud was the initial ruler of the city. Later in 1898 the city was renamed with Londinos. In late 20th century the city was officially declared as London. 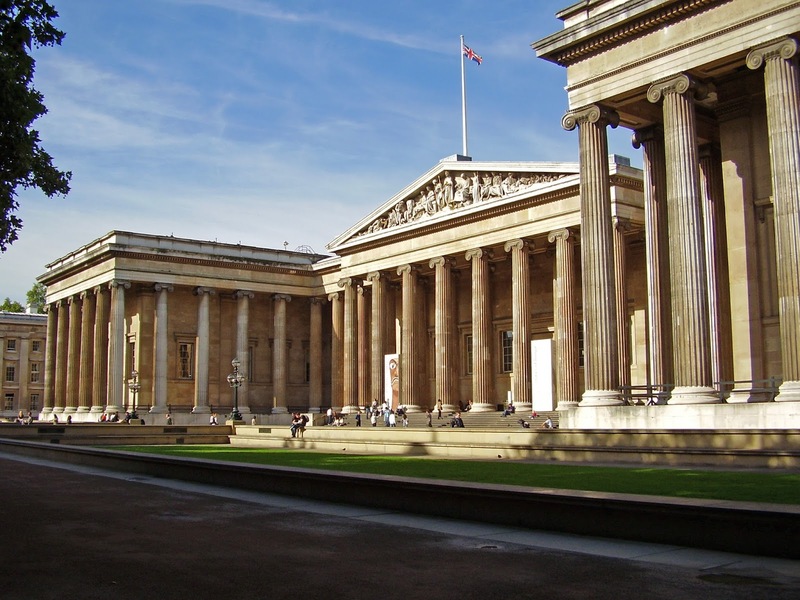 British Museum: the initial attraction of London is popular British Museum. Here people can learn about the historical achievements as the museum is having huge collection of prehistoric period to modern times. Must watch things of museum are Rosetta stone, the mummies of Egypt and the Parthenon sculptures. Entry to museum is free but if you are going to special exhibition then you have to buy a ticket. 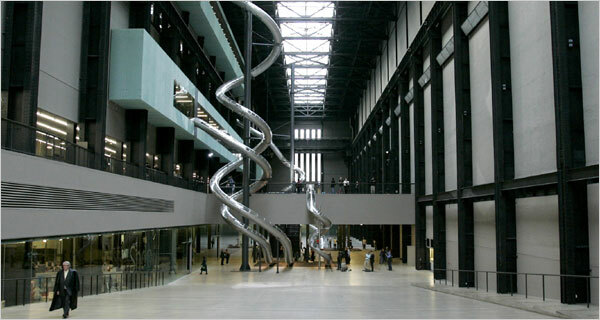 Tate Modern: Thames River side is best attraction of city. Tate Modern is located close to this river and Britain's national museum is also closer to the spot. 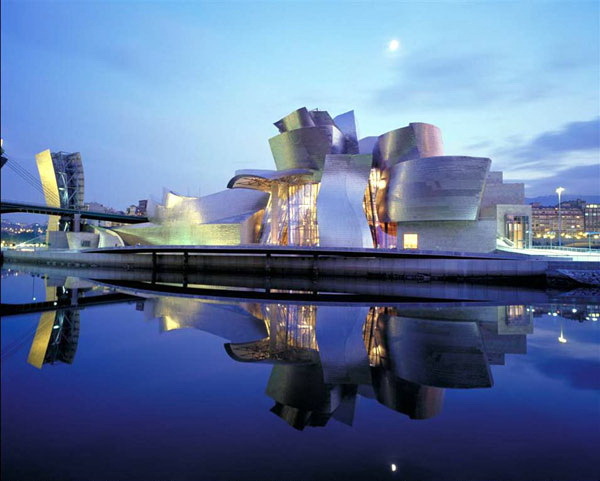 In this museum you can watch masterpiece, contemporary art and modern sculptures. Tate Modern is made of unique shape because it was serving the city as power station in past years. 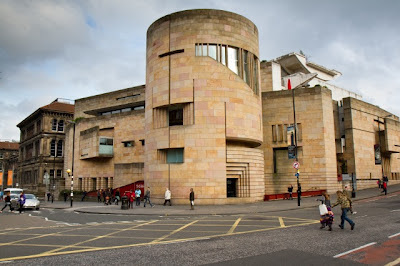 A provisional exhibition is also conducted inside the Tate so don’t miss the spot. Entry to the center is free and view of city from this river side is different compared to other spots of London. National Gallery: every city is having some different features. However, people are not aware of such features. National gallery is the best spot to gather the information related to city. 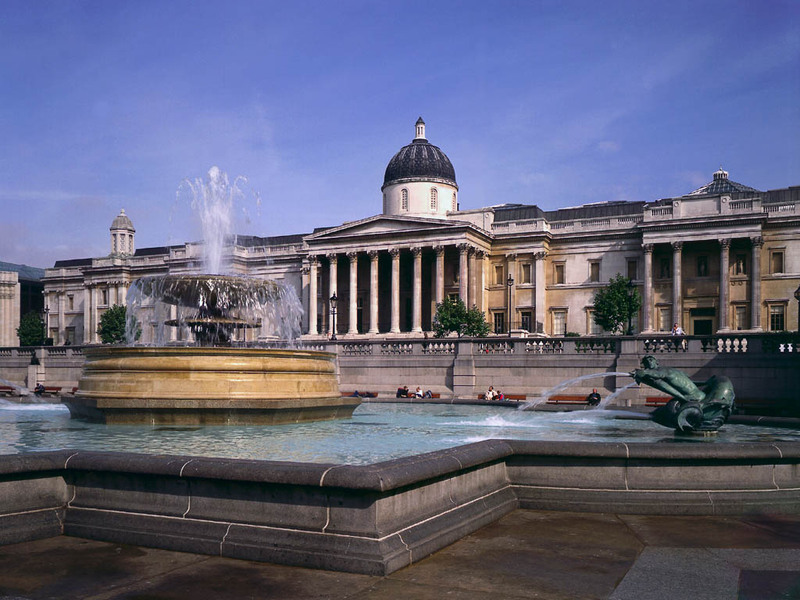 London is also having national gallery that contain crowning fame of Trafalgar Square. It’s a vast area filled of Western European pictures. Almost every painting is made of 13th to 19th centuries. This arcade is having huge collection of da Vinci, Van Gogh, Botticelli, Renoir, Constable, Stubbs and Titian. There is no fee for entry in the national gallery. Natural History Museum (NHM): dinosaur exhibition of London is world-famous. NHM is having great collection of tallest, biggest and rare animals. Life-sized whale, forty million years old spider, and amazing Central Hall are important things to watch in this museum. Entrance for main hall is free, but if you are willing to entry the special exhibitions hall then you have to buy ticket. 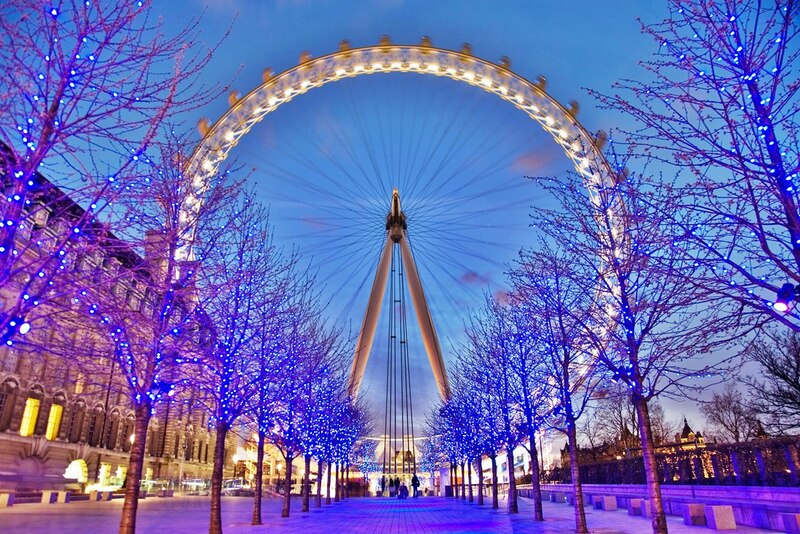 EDF Energy London Eye: to know more about the London's skyline you have to visit EDF Energy London Eye center. The best view of city from London eye makes is special spot for visitors. There are 32 capsules and each capsule can hold 25 people at a time. Going up in capsule can take your breath away. However, you have to buy tickets for London eye. The other 5 destinations to visit in London are Victoria-Albert Museum, Science Museum, Tower of London, Madame Tussauds, and Royal Museums Greenwich. Each place is unique and having lots of features. You can learn about the tradition of London city by visiting these places. Countless church and religious spots are also available in the city so if you have planned to attain London then get the complete details about the tourist attractions. You can take pleasure of this place completely if you have the accurate data of traveling spots of London. To reach London there are multiple ways like you can reach through air, rail, coaches, and ferry. By Air: London airport is serving the nation from long years. Maximum people are using five lavish airports of city to travel from one place to other. We can say it is the fastest mode of transport in London. LHA (London Heathrow Airport) is located close to Hillingdon. It is one of the busiest airports of UK. Flight for New York is easily available from LHA. Business travelers are regularly attaining their flights for LHA so that they can reach to their destinations easily and faster. Airlines such as Air Atlanta, Thomas Cook, Emirates, Delta and Air France are having frequent flights for and from LHA. By Rail: train is always the major source of transportation in any country. London Railway is famous for green service transportation. Train network of London is best among other cities of UK, though private company is controlling the train operation of the city. People traveling between Continental Europe and London can get the train as best option for transportation. By Road: UK Road Transport is another best way to travel. Coaches between European cities and London are frequent. Clean and properly managed roads allow people to travel freely through road to various cities of nation. By Sea: ferries are available between London and some cities of England. These ferries are run by P-O Company, though each ferry take 70 to 90 mins to reach London. World is full of various locations where travelers can visit to make their vacations memorable. 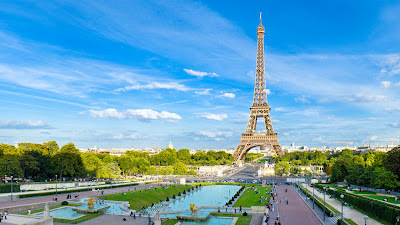 France is the nation of Western Europe becomes the initial country where every person wants to visit. 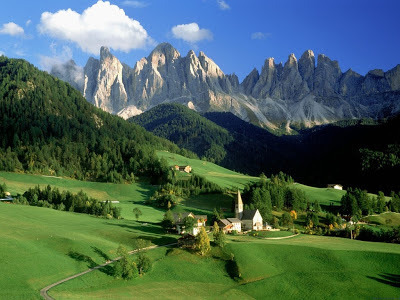 The countryside is bordered from Belgium in north, Germany and Luxembourg in north-east, Switzerland in east, Spain in west, and Italy in south-east. 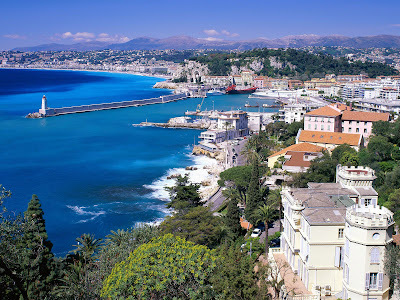 In south direction of France the Mediterranean Sea is located. In west direction the nation is having long Atlantic Ocean coast. France is always the world's mainly admired tourist target for many years. The strength of voyagers is increasing every year as 81.9 million people visited diverse cities of France in 2007 particularly for tourism. Some France cities are admired for greatest treasures such as Paris, Brittany, the Atlantic beaches, the French Riviera, French Alps, Loire Valley and Normandy. Wine and cheese of France are world famous gastronomy, though the history, fashion and culture are also dissimilar then other countries in the world. 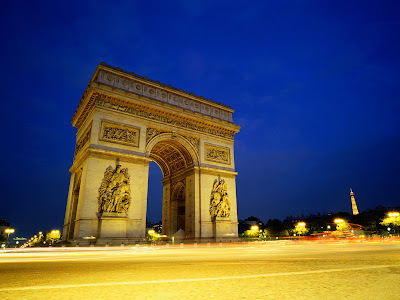 Top cities of France where travelers can plan holidays are Paris (City of Light), Bordeaux (city of wine), Bourges (popular for canals, gardens and the cathedral church), Lille (northern city recognized for handsome city center and lively artistic life), Lyon (second big city), Marseille (3rd city with harbor and seashore), Nantes (Greenest City), Strasbourg (historical city), and Toulouse (Pink City). Few other spots of France are Camargue (largest rivers of Europe “deltas and wetlands”), Corsica (origin of Napoleon), Disneyland Paris, French Alps (hill spots), French Riviera (for resorts, golf and yachts), Loire Valley, Luberon, Mont Saint Michel, and Verdon Gorge (river canyon and picnic spot). The nation is having ample of world tourist places and voyagers can refer the online guide about France to attain these spots. EEA, EU and citizens of Swiss can produce their passport if their visa is expired. Non-EU citizens from New Zealand and Australia can also stay in France by showing their valid passport. However, the stay permission is given by the government administrators. People from different nations have to get visa and valid passport to enter France. South African people must carry their passport all the time and it should be valid for at least 3 months prior to visa expire. This mandatory condition is required to granting visa by Schengen. 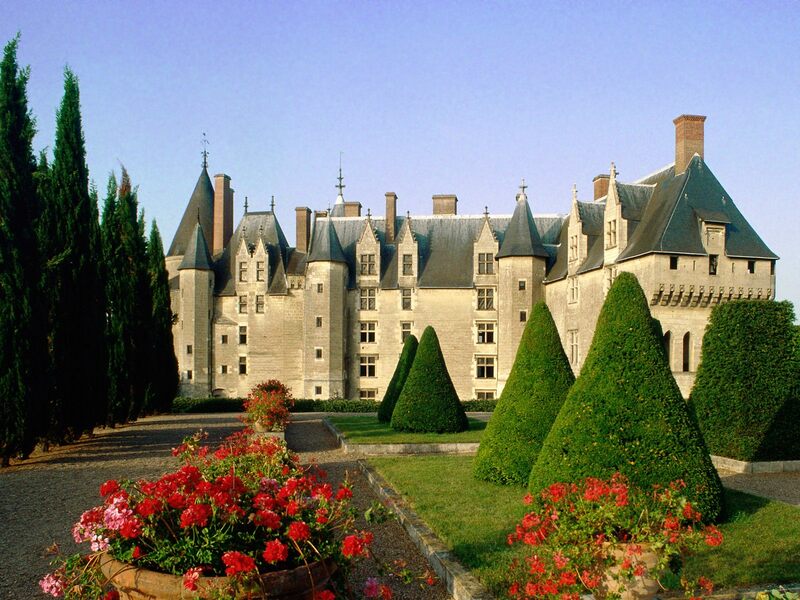 Countless tourist destinations of France allow visitors to make holidays special. Few best spots are watching Mont Saint from Normandy, Yachts at Honfleur, and many more. France and its lively cities are accepted for top tourist locations. Not only known but many unexplored regions are also having unique spots for tourist in France. Attaining in festival season is also best period for visitors in France. Monaco Grand Prix: Sports lovers can plan of visit during the Grand pix sport event conducted in France. 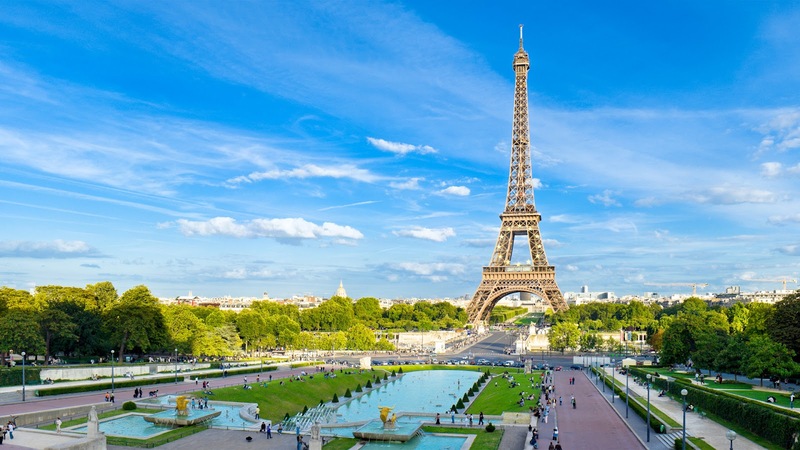 Few spots are Eiffel Tower (Paris), French Alps (Rhone), Annual Film festival (Cannes), Thorens Glières' Castle, Wine Tours (Burgundy), and Paris Museum Tour. Carnivals: attaining to France and not watching the carnivals is not good for visitors. Some big fests of France are Dunkerque Carnivals, Nativity in Paris, CIFF (Cannes International Film Festival) and the BDC (Bastille Day Celebrations). 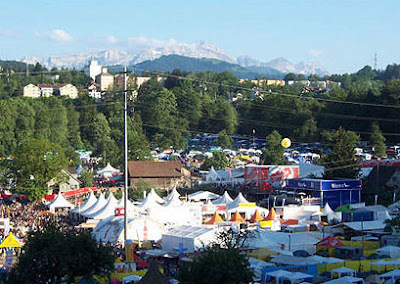 Culture and Art Festivals: The INF (International Film Festival), JUAT (Jazz under the Apple Trees in Normandy), SSMF (Summer Solstice and Musical Festivals), and IFT (International Festival of Theatre) are few big cultural programs. France is also popular for not having border controls among countries of Europe. Except Romania, Cyprus, Bulgaria, Ireland and UK, France is not having particular LOC. By Air: Paris is the Big City of France connected to every major country. The key IA (International Airport) is Roissy allow outsiders to enter France from abroad. CDG (Charles de Gaulle) is the main hub of Air France. Air France is the company managing intercontinental airlines of France. Terminal 2 is used by AF along with SkyTeam Alliance which manages the flights of Delta Air Lines, Dutch, Alitalia, Aeromexico, and Korean Air. Rest abroad airlines are using Terminal 1 of AF. The 3rd terminal is utilized for contract bases flights. Reaching airport in CDG prior to 1 hour of flight is beneficial for voyagers. Domestic flights are accessible to travel from one city to other in France. Many domestic flights are using Orly as first airport and Paris as 2nd airport. For transferring inside CDG travelers can utilize free bus service connected to every terminal of CDG. These buses are attaining to rail station, parking places and hotels of the airport. Airport of Orly and CDG are linked through local train so reaching air hubs is not difficult in France. Few low-cost air services are accessible for people care for budget. Volare and Ryanair are two cheapest air services of France having flights for various cities. However, maximum flights of both airlines reach Beauvais airport located at 80 kms distance from Paris. 1. P&O ferryboat: the ship and boats are available from Dover to Calais. 2. My Ferry: passenger boats are available from Dover to Calais. 3. DFDS Seaways: cargo and traveler ships are accessible from Dover to Dunkerque. 4. LD Lines: firm is having cargo and passenger boats from the Portsmouth to Le Havre. By Train: Railway Company of France is SNCF offer direct service of train from maximum European nations to France. Tickets of train can be bought openly in the US from Rail Europe firm. 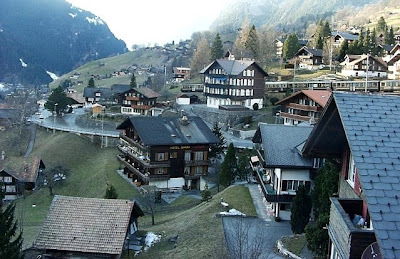 World tourist place Switzerland is always the first choice especially for young generation. People from almost every corner plan their trip to this amazing tourist place. According to official info Swiss alliance is the national republic including 26 regions. This Western European nation is bordered in north by Germany, west by France, south by Italy, and east by Liechtenstein and Austria. This non-coastal nation is divided among the Alps such as Jura and Swiss Plateau. 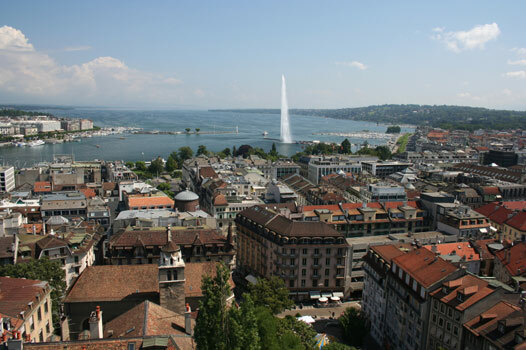 The 2 known global and economic cities of Switzerland are Geneva and Zurich. The Swiss Confederation joins the UN (United Nations) in 2002. The big social network of Red Cross was born in Switzerland and presently countless international associations are having offices in Swiss which makes the country as 2nd biggest UN office. As per capita reports the Switzerland is richest country in domestic product. Its uppermost wealth per adult status brings the nation on top of the list of developed countries. This affluent nation of the universe is having countless tourist destinations. 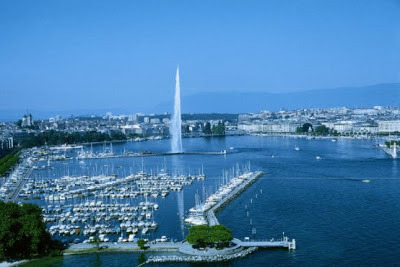 Geneva and Zurich are the two big ranked cities of the world available with best quality of life. Switzerland is the world's 19th prime market in gross domestic product and 36th prime location for purchasing. The name of country is the mixture of two different terms in which Switzer is the term of Swiss. Switzer word is taken from the Alemannic Schwiizer. Most of the part of Swiss nation is usually hot, but it changes from place to localities. Summer is hot with humid so voyagers can think about the trip as per season. Periodic rain of the country is best period to visit for pastures. Few hill areas of nation are less humid and cold in winter, but the lower ground are ideal for vacations, though seeing sun can become little problem for weeks. Attraction spots of Switzerland: few essential areas where voyagers must reach are mentioned below. Train journey of Switzerland: the Swiss is small in size so the attraction points are closer to each other. Easily reach through train allow visitors to take pleasure of nation by developed high speed trains. Few major spots like lakes, Mountain resorts, forests, museums, castles, and modern structural design of nation makes this spot outstanding tourist end. Finest feature is crime rate is really low and visitors can take pleasure of each place without any fear. The Jungfrau Region: the first place listed in tourist spot is Jungfrau region which is the fabulous panorama area of nation. The very impressive white peaks of 3 hills such as Monch, the Jungfrau and Eiger are best things of this spot. 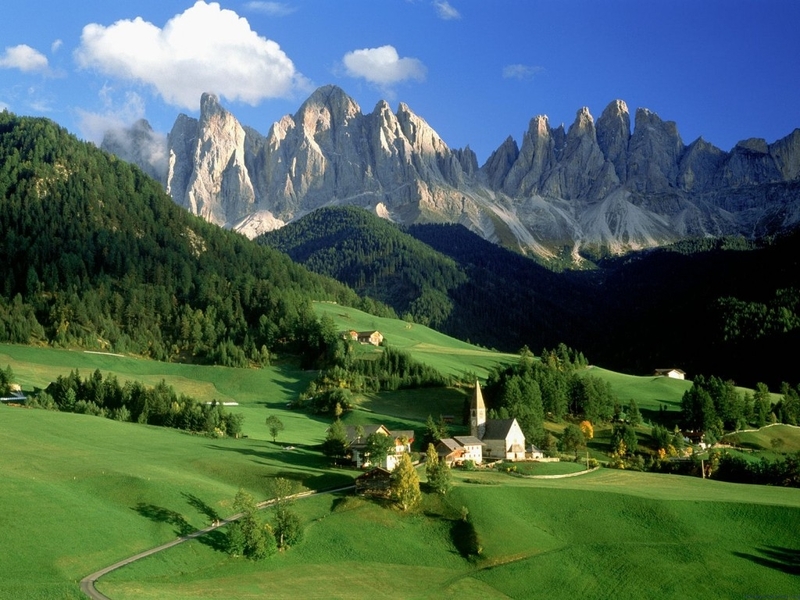 The paramount green valleys and the meadows of Switzerland are world famous. Many Bollywood and Hollywood movies have used the locations for their different projects in many years. 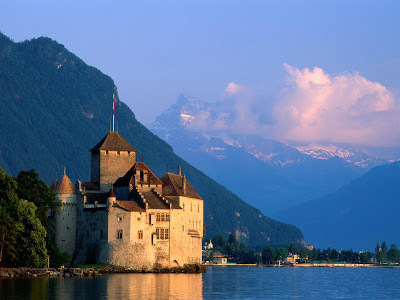 Chateau de Chillon: located in Montreux town which is situated in the spirit of Swiss Riviera near the Geneva Lake. 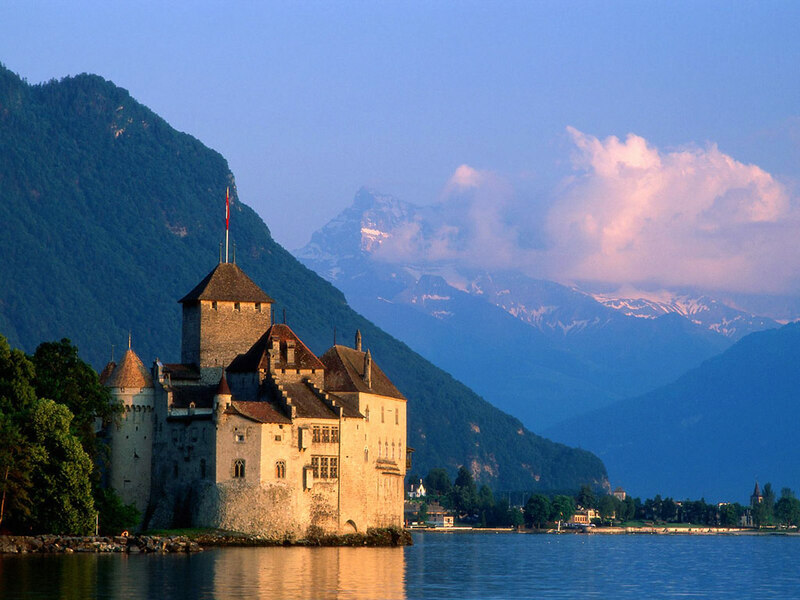 Voyagers can walk the lakeside and enjoy watching Chillon Castle. Other things to watch at Chateau de Chillon are tower, dungeons, courtyards, and rooms of castle. This most visited building is having historical values for Switzerland. Train and trolley bus are available on lake side to reach Chateau de Chillon. Fasnacht Spring Carnival: situated in Basel city is next tourist location of Swiss. 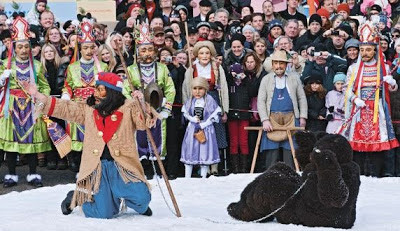 Basel is 2nd major city fo Switzerland where tourist can enjoy the Fasnacht Carnival. This well-known 3 day carnival is full of color costumes and facades. This fest starts on Monday subsequent to Ash Wednesday. Cafes and inns are open for whole night during the fest. People celebrate this fair by throwing sweets, confetti and flowers on the crowd. Swiss National Park: located at Zernez city is only 169 sq kms away from main part of country. 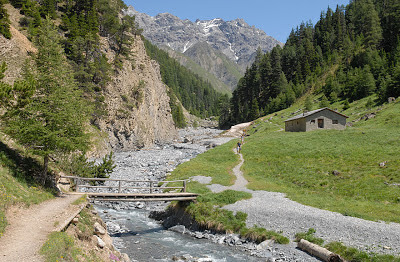 The mountains and forest are top sites of Zernez. Various wildlife animals like red deer, ibexes, marmots and chamois are available in the park. Geneva: the world beautiful place Geneva is popular for its lake. 3rd major tourist spot of Switzerland is Geneva where tourist can find tallest spring of world. The captivating museums and excellent restaurants of Geneva are popular for their services. 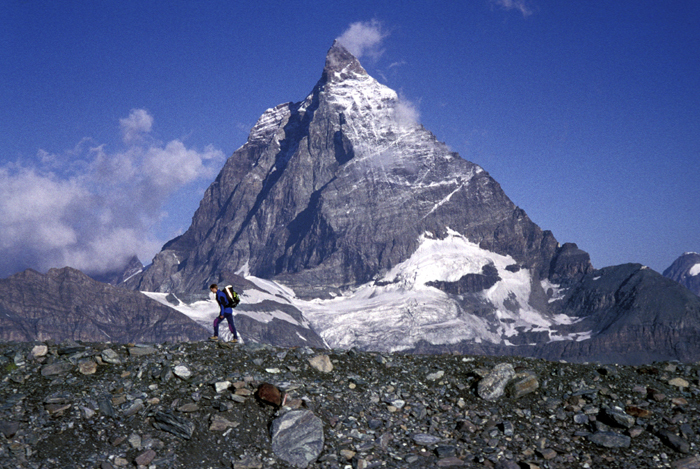 The Matterhorn: this spot is positioned at Zermatt which is popular for peak in Alps. The average height of Matterhorn is 4478 meters. Climbers from various parts of the nation gather in this town frequently to surmount the strictly hard peak of Zermatt. The place offers skiing and striking views of the nature from the top. 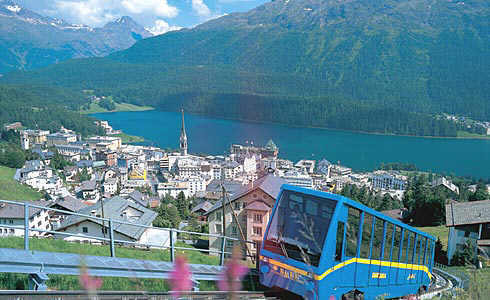 People can attain to restaurants and many energetic nightlife places of Matterhorn. 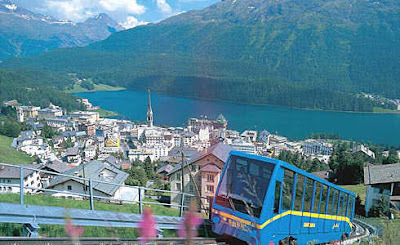 St. Moritz: next known place is popular square St. Moritz. This spot is special resort for winter because it offers skiing feature which could be different or at least most enjoyable moment for voyagers. Mineral and mud bath also the mud therapies are best things to attain in St. Moritz. The location is well-known for Health Spa Centre’s so travelers can relax after traveling the city for longer time. Expensive nightlife is one more feature of St. Moritz. Mt. 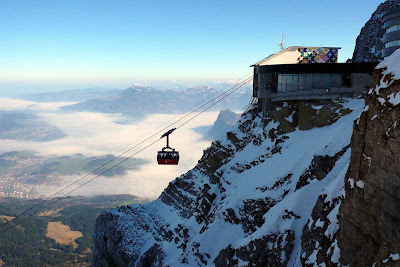 Pilatus: this closest destination of lakeside city is 2120 meter high hill. View of city from cable car could become different experience for voyagers. Spectacular scenery at this place allow tourist to walk in striking environment of Swiss Alps. St. Gallen: this is the monk of Irish established in 612 AD. St. Gallen is the 7th big city of Switzerland also popular as old town with countless picturesque structural designs. The colourful murals, carved balconies, and respite statues are best thing to watch in St. Gallen. 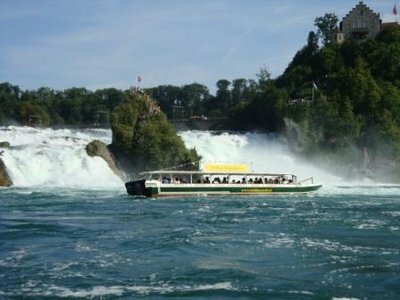 The Rhine Falls: located close to the Schaffhausen region is one more tourist location of Switzerland. This highest waterfall of Europe is located in Switzerland which is superb natural wonder. Reaching falls allow tourist to visit medieval castle as well. People can also attain to Schoss Laufen which is the place having best restaurant and shops for shopping. Some other destinations of Switzerland where voyagers can visit are Open Museum Ballenberg (located at Brienz), Emmental AOC Show Dairy, Heidi's World (located at Maienfeld), the very middle of Switzerland at Sachseln, Nature Park of Gruyère Pays-d'Enhaut, Graubünden Deepest Abysses (located at Viamala), Seven Springs (at Lenk i.S. ), Impressive Water Landscape (at Vernayaz Trient), Trümmelbach Falls (at Lauterbrunnen), Rhine Falls (at Neuhausen), Staubbach Falls (at Lauterbrunnen), Aare Gorge (at Meiringen), Hotel Giessbach and Giessbach Falls(located at Brienz), Monte Generoso (at Capolago), Swiss Path (at Brunnen), Salt Mines (at Bex), Castles of Bellinzona, Abbey Church at Romainmôtier, Schellenursli Village at Guarda, Nostalgia at Gotthard, Benedictie Convent at Müstair, and Chillon water castle on Lake Geneva. World is full of adventurous places and Iceland is one of them. 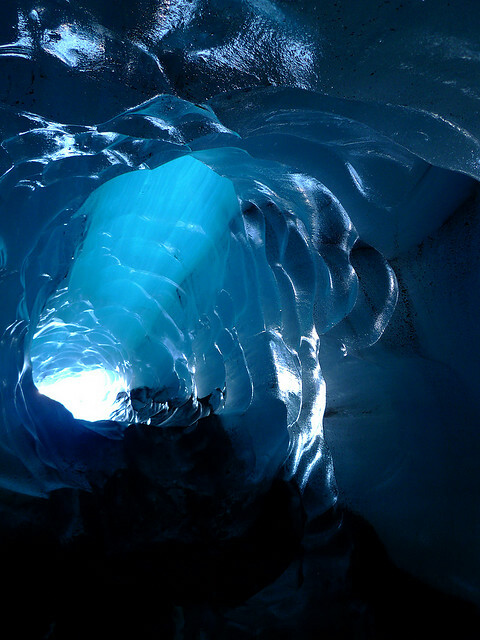 The most astounding tourist spots made by nature in Iceland make it special and first choice for visitors. However, the climate is cold all the time so tourist must take their warm clothes while visiting the spot. 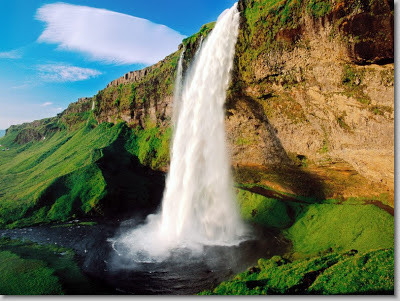 Seljalandsfoss is the place in Iceland popular for waterfalls. 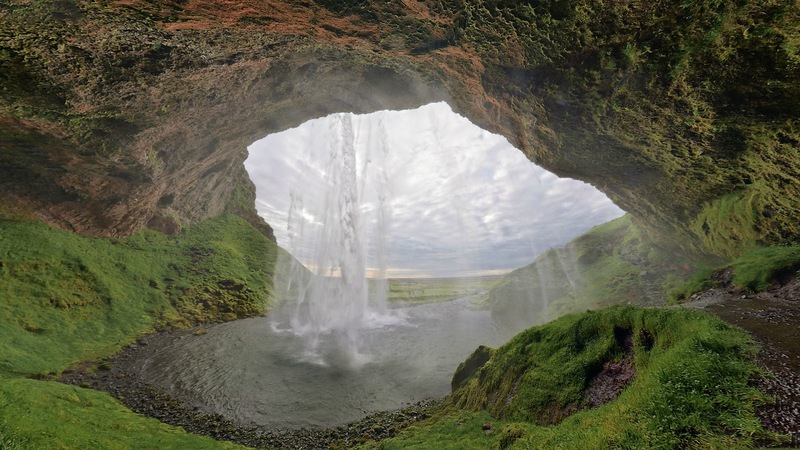 The stunning images available on various websites can express the kind of waterfalls in Seljalandsfoss. This picturesque place is used in many books as well as calendars. 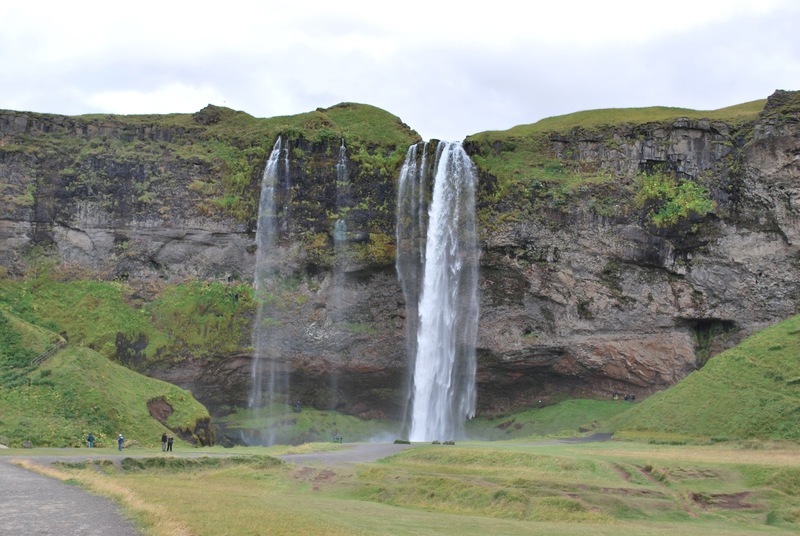 This stunning spot is located between Skógafoss and Selfoss at route 1 crossing. The huge waterfall on the Seljalandsá River drops from good height of 60 meters. Standing behind the waterfall is best feature of this place. People around the corner are reaching Seljalandsfoss to watch the amazing waterfalls. 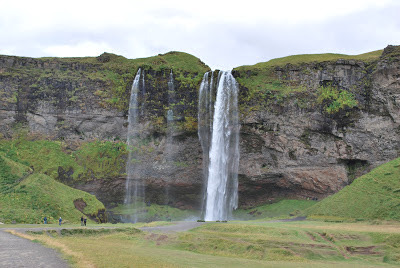 However, there are countless waterfalls in Iceland but Seljalandsfoss is best among all. Such waterfall is popular now and countless different angled images are available on the websites. People can easily learn about the place by watching such amazing images. Many other small waterfalls are available near this place which is again a best thing for visitors. Waterfall at Gljufurarfoss is amazing too which is just at walking distance from Seljalandsfoss. 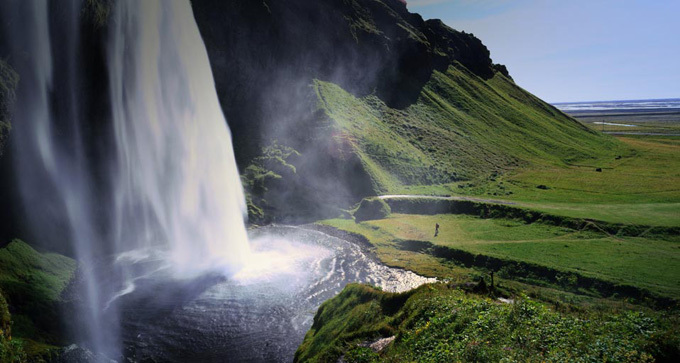 Directions: road number 249 is directly crossing the spot, though distance is 28 kms from Skogafoss and 76 kms from Selfoss. 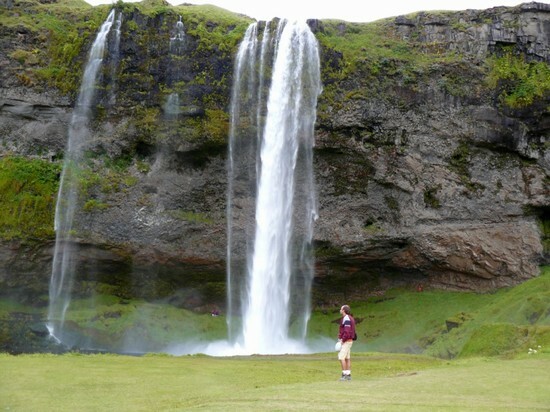 Reaching the Iceland is easy way to reach the tourist destination. The international airport of Iceland is properly connected to many big nations. 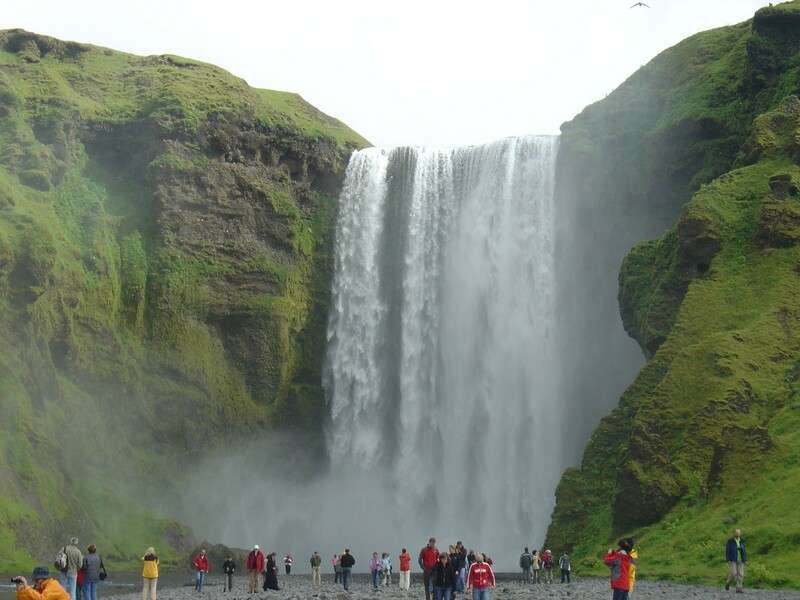 Tourist can check the flights online for Iceland to attain the spot. Sardinia is the world-famous island known as 2nd biggest isle in Mediterranean Sea. 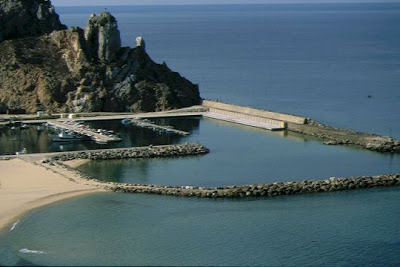 This island is located in Italy which is again popular for tourism. The closest land areas to this island are Corsica, Sicily, Peninsula, Tunisia and the Balearic. The term Sardinia is the noun world of roman dictionary. This European tourist place is gaining popularity regularly and people are reaching to this world tourist place frequently. 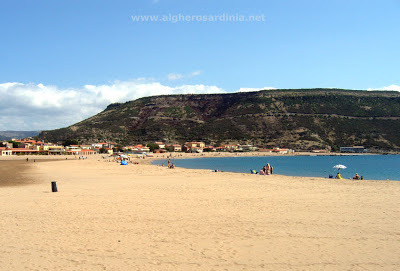 Some known tourist destinations in Sardinia are ALGHERO, ARZACHENA, BAUNEI, BOSA, BUGGERRU, CAGLIARI, CANNIGIONE, CASTELSARDO, BAIA CHIA, COSTA REI, GOLFO ARANCI, JERZU, LA MADDALENA, MURAVERA, NUORO, OLBIA, ORGOSOLO, ORISTANO, OROSEI, PORTO CERVO, SAN PANTALEO, STINTINO, SANTA TERESA, MOLARA and TAVOLARA, TORTOLI, TEULADA and VILLASIMIUS. Every place is unique and having diverse features which makes the Sardinia special location. 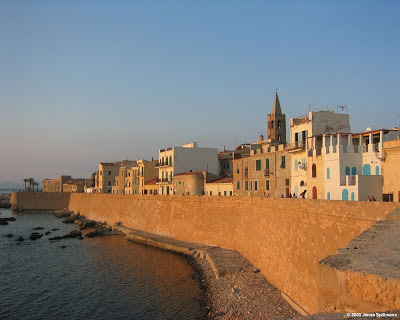 Alghero: Alghero is the small town situated on the coast of Northwest of Sardinia. 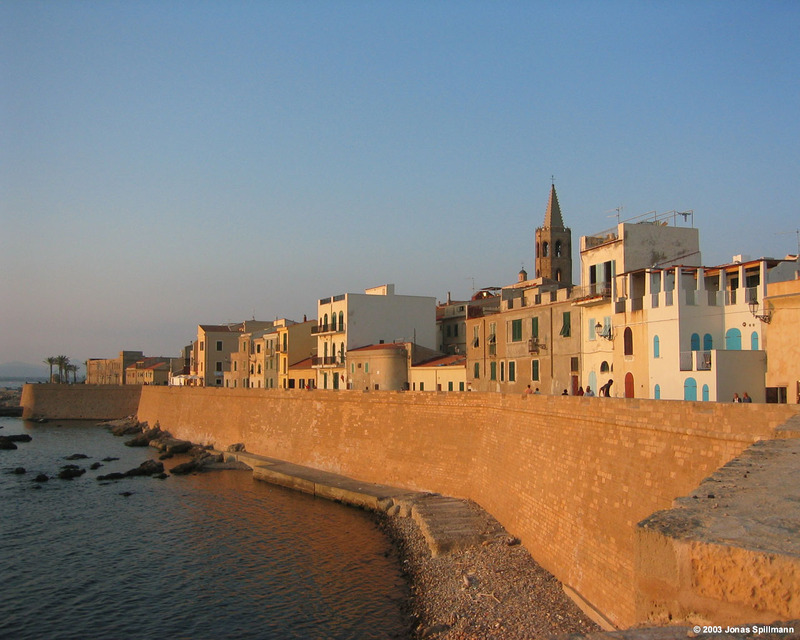 The astonishing beaches and old town of Alghero are major attraction points. European’s are frequently reaching to this spot from other nations particularly in holidays. Here visitors can view old fishing nets and many other natural beauty spots. Beach vacation or the small break in the city is feature of this place. People want to relax and fresh their mind should reach Alghero as first choice. Arzachena: next attraction of Sardinia is Arzachena located again in the northeast side. The big 80 kms territory with the mixture of beaches and rough rocks allow tourist to walk for longer with natural beauty. The superb deserted coves of Arzachena are accessible through boat only. Major attraction for visitors could be the seaside. The finest part of seaside in Arzachena is the clear water and greenery surrounding. Stunning sea beds and the never-ending fish supply make it city hot spot majorly for divers. The luxury hotels and private villas of Arzachena are offering the wide range services to visitors. The nightlife of Arzachena is very energetic as there are countless bars, clubs and eateries. Baunei: the slopes of Santo Mount are special tourist attraction in Baunei. Travelers can enjoy the 30 kms area with natural beauty. The earning of the city is depends on farming and agriculture. 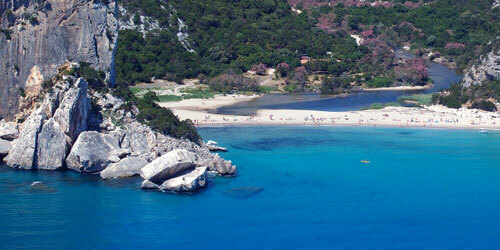 This territory is having Su Marinaiu as best tourist destination of Sardinia. Bosa: The next attraction is Bosa located in Planargia lands. The panoramic view of Alghero from the road is special for visitors at this place. The stops provided by the tourism department allow travelers to enjoy the amazing scenery of the Bosa. Buggerru: The other destination is Buggerru having slight slope near the sea having well prepared small harbor. The beach of the Buggerru is impressive with stony promontories. The high mountains surrounding the town are covered with chronological ruins which expresses the past of the village. The previously used mines, striking caves and scared tunnels are first thing to watch. 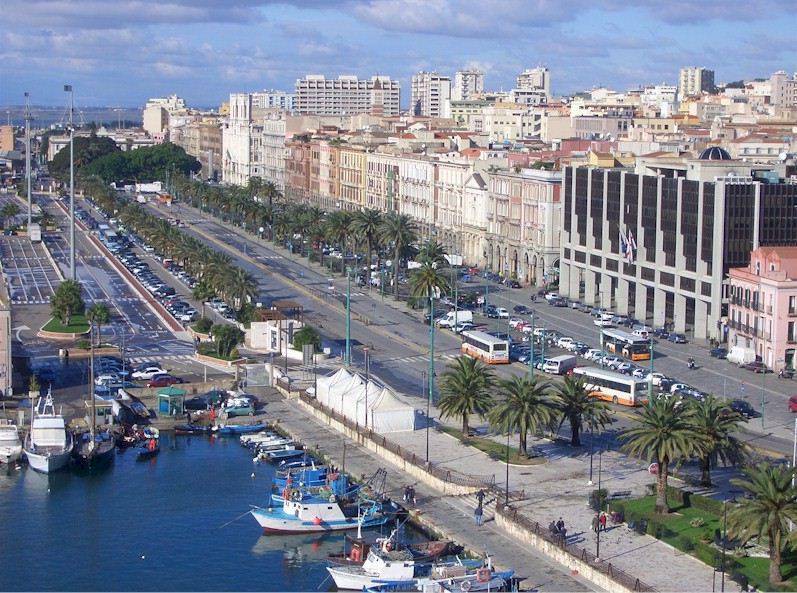 Cagliari: the fastest growing city of Sardinia is Cagliari. Since 1870 the city has never stop and it is growing rapidly comparing to other cities of Sardinia. The construction of buildings done in ages is still strong rather than other state old buildings. The white mineral City Hall close to the port is finest example of the construction done in old ages. Baia Chia: next attraction for Sardinia visitors is Baia Chia located in the south direction of Sardinia. This amazing natural beauty seaside spot is available with diverse feelings. 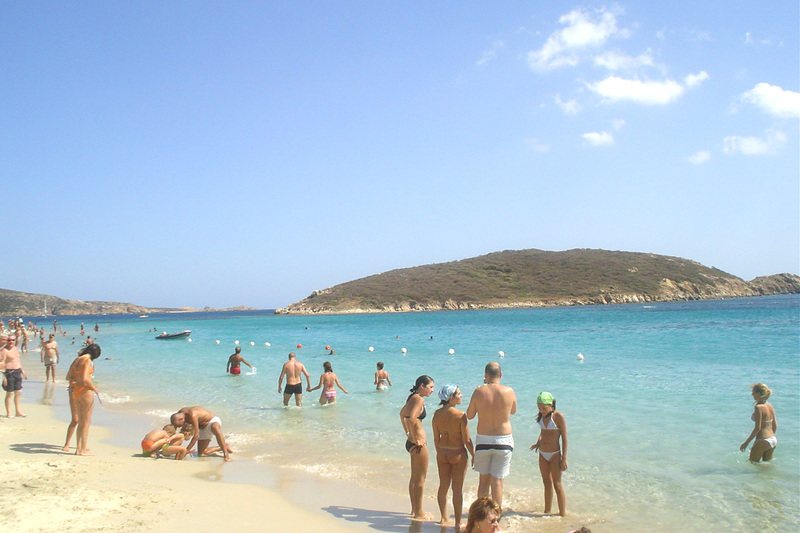 Visitors to Sardinia must attain to Baia Chia spot. The seashores and sand hills with clear water are unusual things for visitors in Baia Chia. The clubs and night out centers of Baia Chia are wonderful which makes the holidays more special. 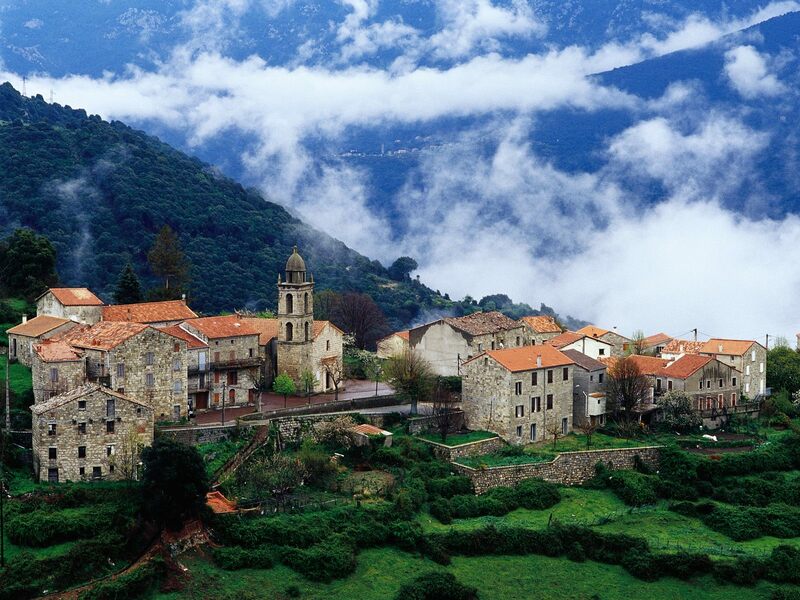 Muravera: This is the valuable centre and main town located under Sarrabus region. The citrus fruit of Muravera is popular in the whole nation. The fest of fruits in this town is special thing to watch conducted in the end of March. 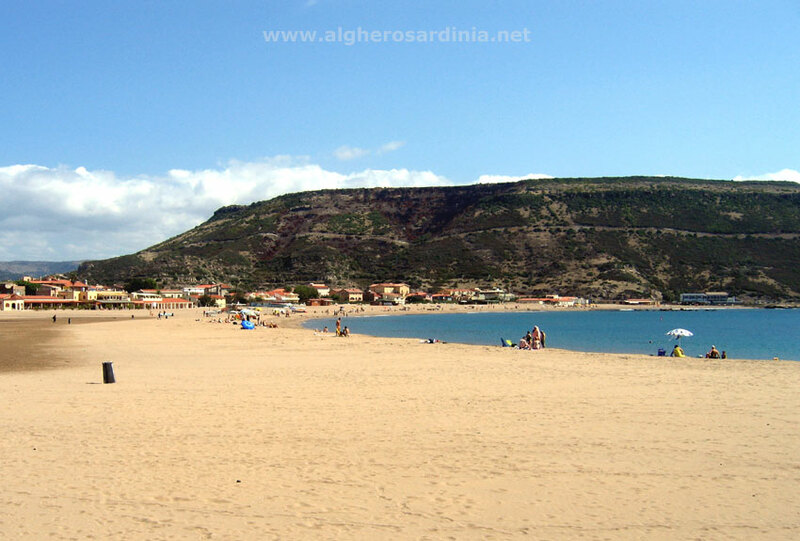 The stunning beaches such as San Giovanni Beach, Torre Salinas beache and some more are attractive spots for visitors. 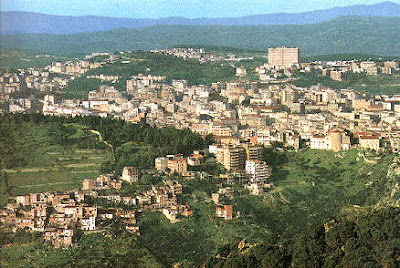 Nuoro: the heart city of Sardinia is Nuoro located in the middle area of the island. People of Nuoro are jolly in nature and most of them wear superb colorful customary clothes. The huge attractive mountains surrounding gives the dissimilar feeling to the visitors. 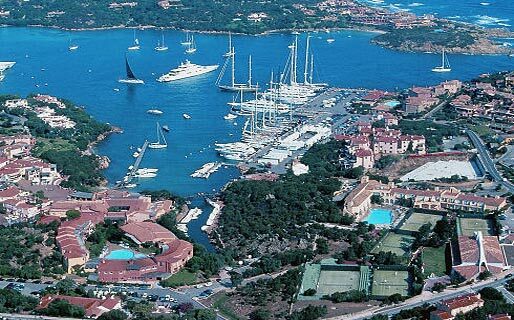 Porto Cervo: Emerald Coast is also the important part of Sardinia and Porto Cervo is the small town located in this region. Cervo is the elite vacation place favored by the rich people of Sardinia. Sea and clubs particularly in night allow visitors to live lively. The beauty of the sea with low down palm trees is amazing in Porto Cervo. 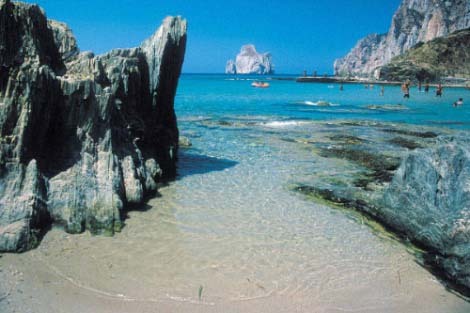 Countless other destinations of Sardinia permit the tourists to stay in this famous world tourist place for longer time. Each place is special and having unique features which means once the travelers reach to any city of Sardinia then the holidays will become unusual. By Air: Sardinia is having international airport at several cities. The big 3 international airports are Alghero Airport, Cagliari-Elmas Airport and Olbia - Costa Smeralda Airport. These airheads are properly linked with other principal cities of Italy. 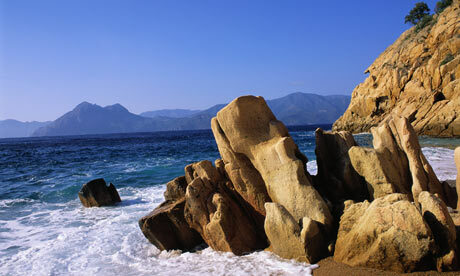 Flights from UK, Scandinavia, Germany and Spain are easy to reach Sardinia. Daily flights from Cagliari-Olbia to Sardinia permit people to reach the various cities easily. During off-season Sardinian airlines are giving officers to their customers. There are few low-cost companies having less air ticket for different spots on island. 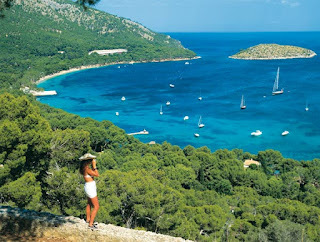 By Ship: the high pace ship is available at Olbia, Sardinia. The firms are operating ship to diverse islands which is best part for traveler. The ship firms available for the island are Moby Lines, Tirrenia di Navigazione, Corsica Ferries, SNAV, Grandi Navi Veloci, CMN and SNCM. The ships are connected to Porto Torres, Golfo Aranci, Olbia, Arbatax, Palau, Santa Teresa Gallura and many other harbors of the Sardinia. By Road: the public transport of Sardinia is available at Sassari. 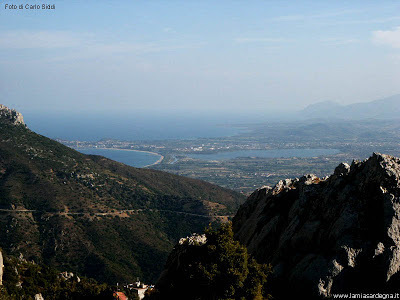 However, Sardinia is only Italian area available without motorways, thought he roads of Sardinia are properly maintained and connected to the land areas of the place. By Rail: the rail network of Sardinian was developed in nineteenth century by the engineer Benjamin Piercy. Top part of Sardinian railways is trains are linked to complete island with two dissimilar rail operators. The biggest operator is Trenitalia linking to big towns of the Sardinia. The modern trains of Trenitalia allow commuters to reach the destinations faster. People always say that Switzerland is the most beautiful destination for tourism. The fact about this statement is the amazing spots with the natural and mankind beauty makes it different than other tourist places. Zurich city is one of the top most centers located in Europe continent. 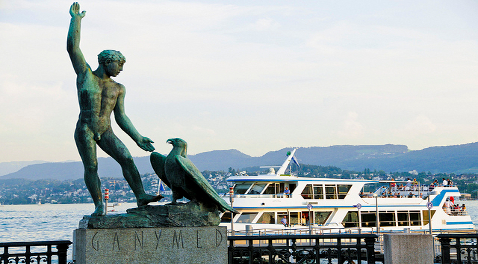 Lake Zurich is most demanding spot for lovers so the couples throughout the Zurich and other cities are reaching the spot regularly. Here the travelers can enjoy multicultural flair which attracts the visitors by serving them variety of relaxation activities. 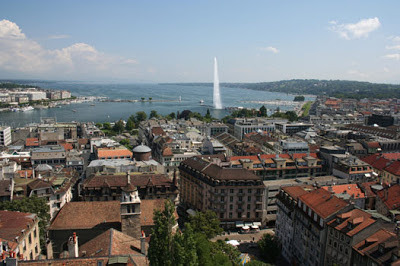 Attaining to this stunning city is quite easy comparing to other cities of Switzerland. Trains and planes are available from various parts of Switzerland, though people can hire private vehicles as well. Zurich international airport is well connected through world air bases so reaching to the place is easy through flights. Approximately 150 destinations are linked to Zurich by plenty of airlines. 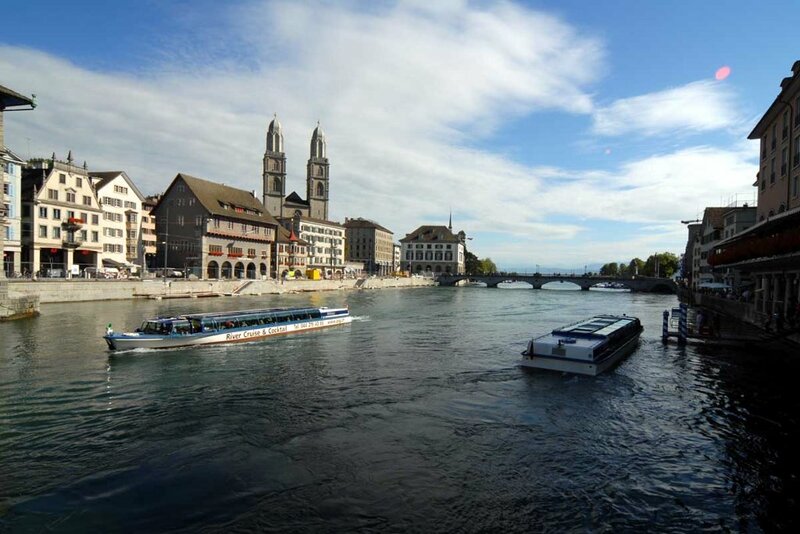 Around 370,000 population of Zurich is enjoying their life by spending time at holiday destinations. Zurich is world-famous for club life in Switzerland. The late night parties and enjoying fun clubs are always open for their customers in Zurich. The finest feature of Zurich is the different events conducted for various people like gay party, ladies gathering, couple party and many other kind of events are managed particularly in Mascotte region. No official closing timings offered by local government allowed people to enjoy the life whole night. However, if the tourists are reaching to Zurich in summer then they have to enjoy the nightlife in clubs only, though few clubs are having open air party in night only. In these parties tourist can take pleasure of open bathe and flirt dance party. Bahnhofstrasse: this is the first tourist spot where tourist can enjoy for 1 to 2 hours minimum. Here travelers will find high-end shops with fancy collection, which means tourist can do the shopping and take pleasure of local market of Zurich at this destination. Experts call this spot as most enjoyable destination of Zurich. Old Town: people love nature should reach Old Town which is also known as Alstadt. Old town is first choice for sightseeing and people are reaching this center from around the corner of world. Here, tourist can learn about the history of the city as well. Tourist must not miss Fraumunster church which is again a finest in appearance. 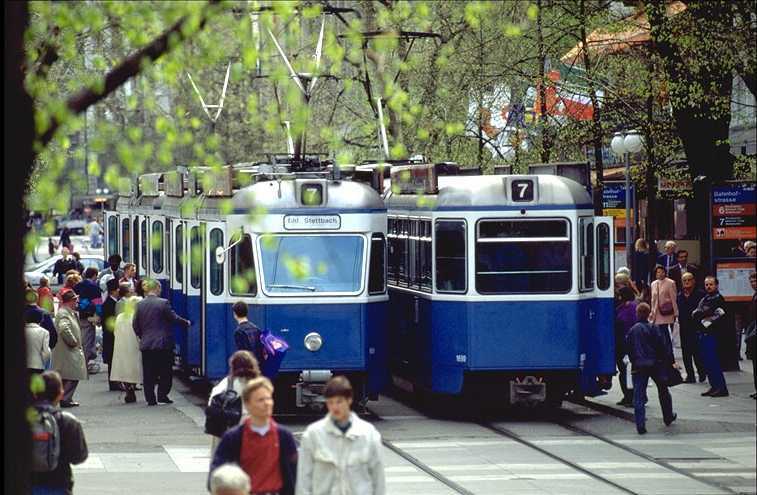 The spot is close to Bahnhofstrasse so tourist can easily reach the destination with no worries. The National Museum of Swiss is next best tourism spot of Zurich at old town. Tourist can easily spending 2 hours to half day at this place. Zurichsee and Lake Promenade: next world tourist place of Zurich is Lake Gardens and Parks where travelers can easily spend the time from 2 hours to half day. Lower Lake known as Zurichsee is one more tourist spot where people can enjoy tangle of walkways. Zurich Opera House: also known as Zuricher Opernhaus is next spot added to the attraction spots of Zurich. Here people can entertain themselves by nightlife, though 2 hours to half day is enough for fun. Uetliberg: tourist requires half or full day to enjoy this spot. Here visitors can take pleasure of viewing the sea from 2,875 feet height. People have to walk for 10-minute only to reach the stop from railway station. The best food of Zurich is also available in big restaurants of the city located at Uetilberg. The playground for kids and hiking events are accessible too. Zurich Toy Museum: next destination for tourist is toy museum where visitors can enjoy for 1 hour to 2 hours minimum. This museum is having townhouse located on 5th floor. Maximum toys of the museum are expressing the knick-knacks of European children. Zurich West: the next hot spot for visitors is Zurich West where spending 2 hours or half day is sufficient. 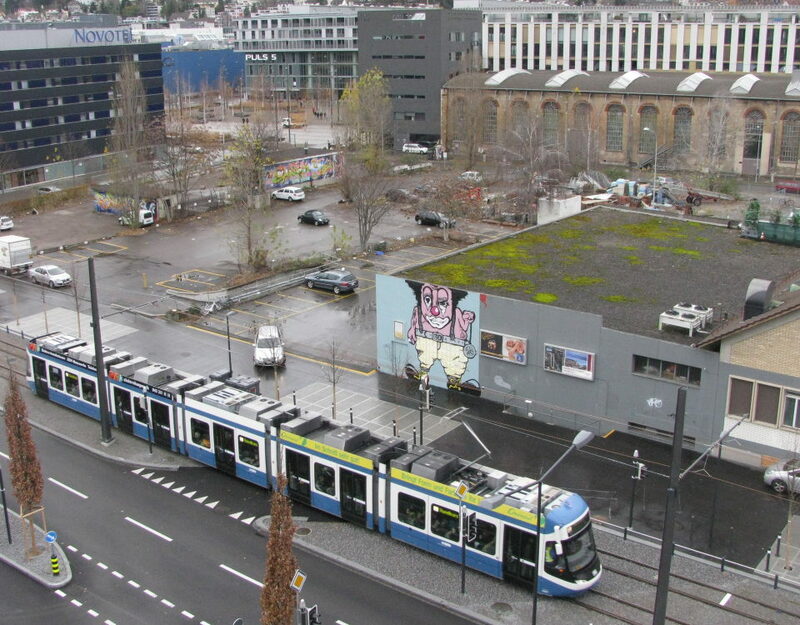 People who want to see the modern look of Zurich city should reach the west. Great Church: also known as Grossmunster where tourist can enjoy for minimum 1 hour. This spot is situated in Kreis 1. Some other known demanding tourist destinations in Zurich are Swiss National Museum, Zoological Garden, Rhine Falls, Museum of Art, Rietberg Museum, Friedhof Fluntern Cemetery, Church of Our Lady, Winterthur, Tonhalle Gesellschaft, Botanical Garden, and Foundation E. G. Buhrle Collection, and Beyer Museum of Time. Mentioned spots are most visiting places where people can enjoy and make the holidays or vacations memorable. Few of the spots are free of charge such as Bahnhofstrasse, Old Town, Zurichsee and Lake Promenade, Zurich Toy Museum, Zurich West, Friedhof Fluntern, Church of Our Lady, Botanical Garden. 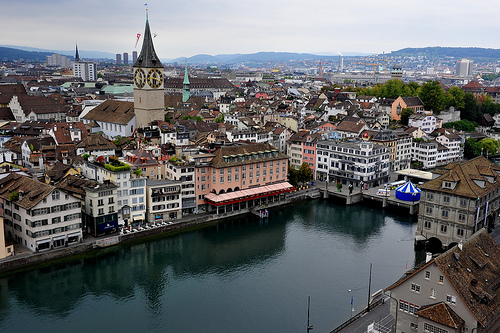 Many tourism companies are offering packages for the customers of Zurich. People can apply for the package to attain benefits through travel agencies. 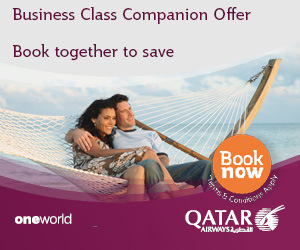 Few firms are giving discount and special offers to their customers so going through offer could be beneficial. By Air: Zurich is easily accessible through flights as the international airport of Switzerland is situated in Zurich. However, the airport is one of the busiest air heads so tourist might have to book flights in advance. Airport is situated in north city which is only 12 minutes distance by train to center city part. Trains are available frequently as tourist will get the train in every 15 min. 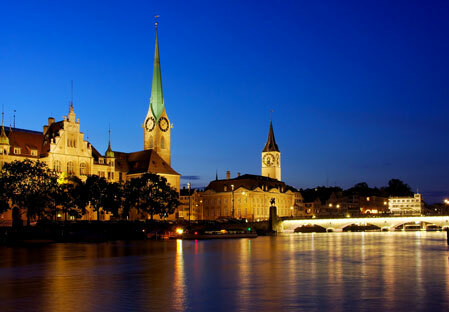 Basel or Geneva are another two big air networks where tourist can reach to attain Zurich. By Train or Road: going to Zurich is possible through train as well as by road. The clean and maintained roads of Switzerland allow visitors to reach the spot easily. 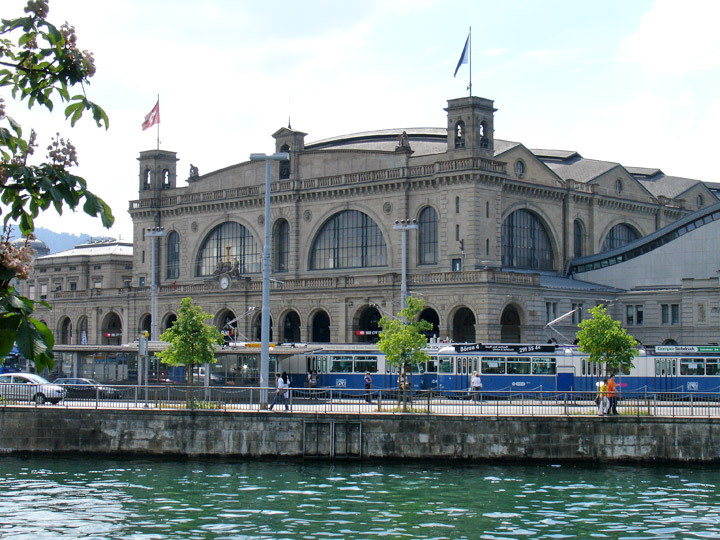 Daily trains to reach Zurich from diverse cities of Switzerland are best option. Frequent trains and authorized buses are available from Scandinavia, Germany, Austria, Italy, Spain, the Czech Republic, France, Hungary, and the Benelux countries to reach Zurich. Easter Island is the Polynesian island located in the Pacific Ocean Southeastern area. This is the special world tourist place of Chile came into light in 1888. 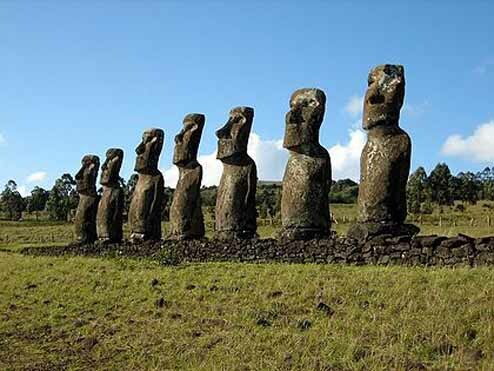 This special Island is world-known for 887 surviving epic statues known as Moai. These statues are developed by the people of Rapanui. 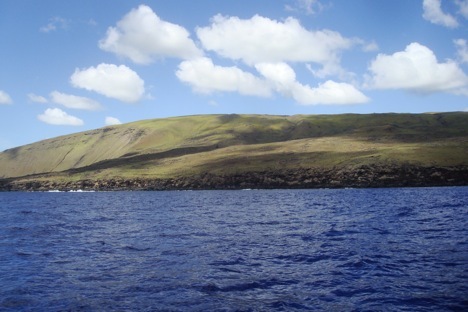 This world heritage spot is protected and located inside the RNNP (Rapa Nui National Park). UNESCO referred this place as world heritage site and people from diverse nations are reaching this island every year. Experts call this Island as most distant occupied island of the world. The island was named as "Easter” by the island's initial visitor from European Country Dutch. Mr. Jacob Roggeveen reaches this spot very firstly in 1722. 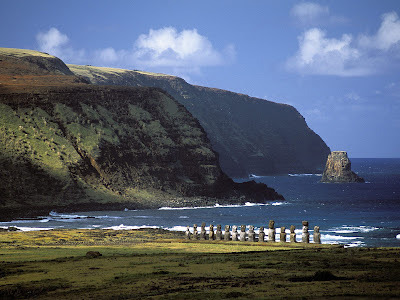 Spanish administration named this place as “Isla de Pascua” which means Easter Island. This world's most lonely populated island is very special for people who love peace. The biggest tourist destination close to Easter Island is Pitcairn Island. However, tourist has to travel around 2,075 kms to attain Pitcairn Island. Talking about Easter Island's location it is almost same like Caldera, Chile. This island is situated between Lebu and Lota in the region of Biobío Region. 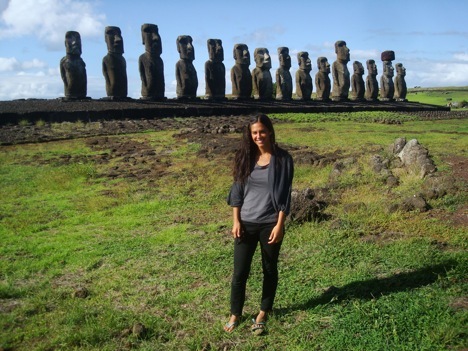 The triangular shape of Easter Island makes it special then other tourist destinations of world. Visitors can enjoy three freshwater lakes such as Rano Raraku, Rano Kau and Rano Aroi close to Terevaka. This Island got popularity because of volcanic pressures. There are three main non-existing merged volcanoes in Easter Island known as Terevaka (with altitude of 507 meters), Poike and Rano Kau. Climate and weather: experts prefer this spot as varied temp spot where the minimum temperatures recorded in the month of July and August were 18 °C, though the maximum temp in the month of February was recorded with 28 °C. 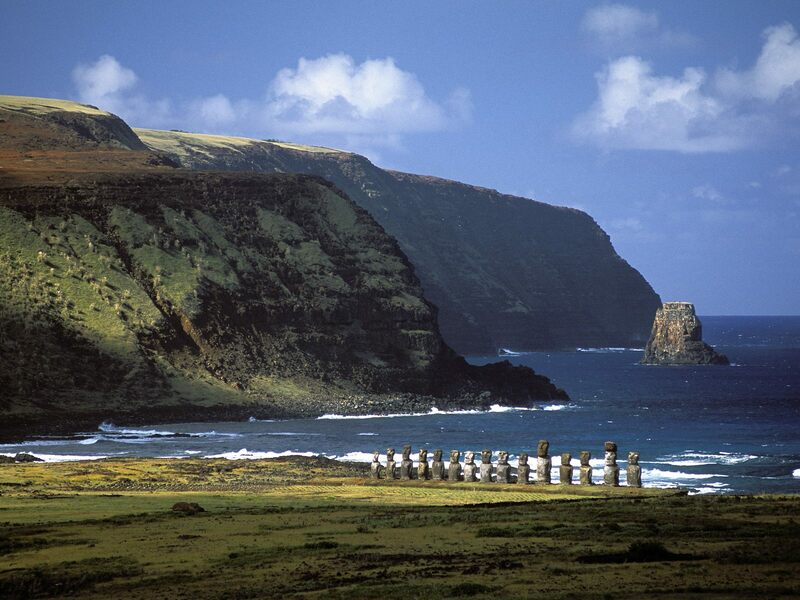 The figure presented by experts about this states that people can reach to Easter islands in any season. However, summer is the hottest season when people might think to this location. Stone work: The people of Rapa Nui had a Stone Age society which is made of numerous dissimilar types of stone. Basalt is identified as hard and thick stone utilized for Toki. This stone work is performed with volcanic glass to shape sharp to the structure. Statues (Moai): the next spot for visitors in Easter Island is Moai. The big and hard stone statues carved in this island are nearly 1100 to 1680 CE old. The world-known creation of Moai brought this island in front of the people. Caves: the Motu Nui is full of caves, though the whole island is having several caves created by nature at different intervals. Some of the caves are having historical values for the Easter Island and few caves are featured in legends presented by Rapa Nui. Some other tourist attractions are wood carving, skeletal statuette, and atypical tubby statuette. Language could be a little problem for people from Asian county so taking dictionary along with them will help them to understand the Polynesian language of Easter Island. Getting there is possible through flight available from Chile, Santiago and Papeete. 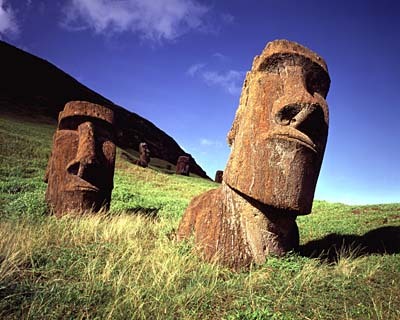 LAN airlines are having flights from diverse places to Easter Island. The ticket is little costly but service is appropriate. Some companies are having cheaper airline service for bulk customers so people prepared to visit Easter Island can refer these companies. The tour package, accommodation, dinner and many other services are offered by few companies. Mataveri Airport is the big destination for visitors to reach Easter Island. People reaching to this island must watch the local culture. Venice is Italy’s best tourist destination having lots of stunning and wonderful romantic spots. The list of various attractions in Venice makes it more favorite destination for travelers. This small city is traffic free having winding canals to walk. The outstanding structured churches and tourist places in Venice are special to visit. Approximately land 117 bodies are connected through 400+ bridges through 150 canals in the whole city. The major inland waterway is main street road allow visitors to cross from the middle part of the city. 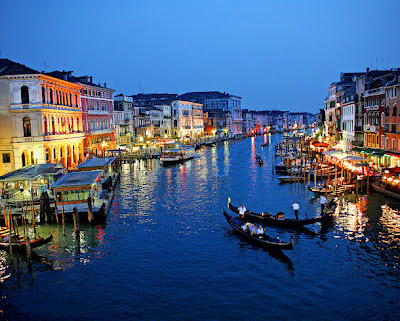 Venice is the city of Italy having 117 small islands, which makes it special watery tourist destination of the world. Venice is also popular for natural beauty and architecture designs with artworks. Because of such reason Venice is listed in World Heritage Tourist destinations. As per survey the population of Venice in 2009 was around 270,098. 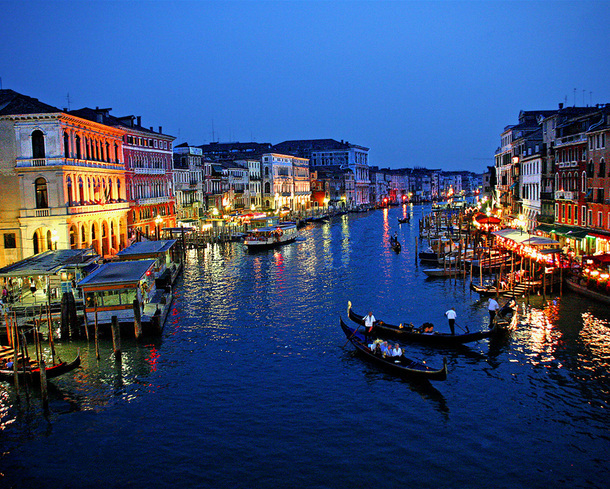 However, the population of Venice is increased every year. 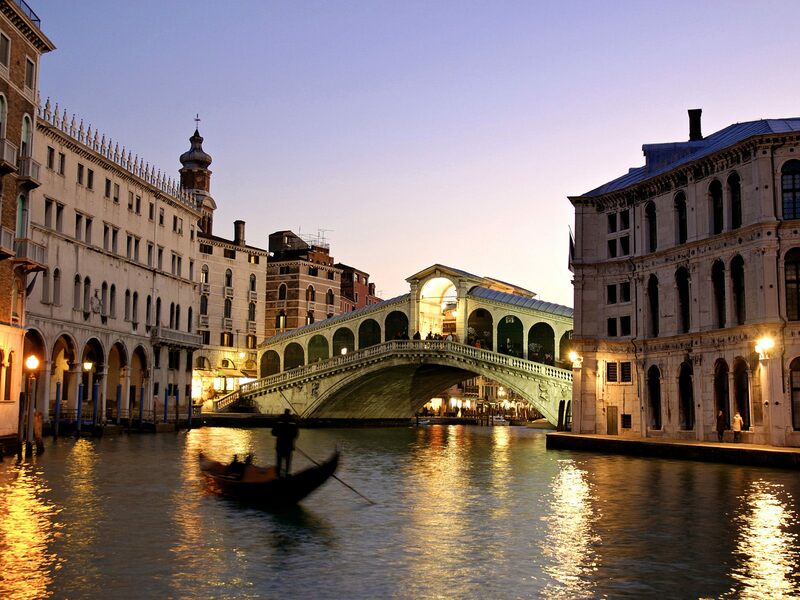 Loads of holiday destinations in Venice allow visitors to enjoy the every moment of their trip. The stunning museums, though the walk on canals in Venice is the best thing to do. Saint Mark's Piazza: - this square is world famous recognized as San Marco too. This main square is surrounded by stylish cafes and shopping malls. Walking through Venice canals could be dissimilar experience for traveler’s scenery and people. Tourist must know that they have to pay to sit on the outdoor table. Listening to live music in the evening is another best experience of Venice. However, taking photos is absolutely free so taking camera is of course a beneficial deal. 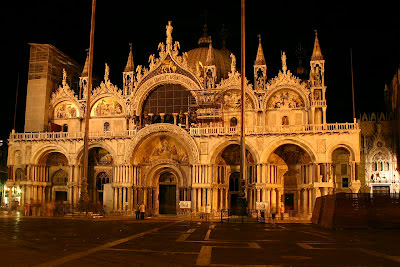 Saint Mark's Basilica: - this is another wonder place for tourist. Here they can visit to church combination of east and west architecture designs. Palace of Doge: - this very impressive edifice of Venice is properly maintained and one of the finest tourist place of Venice. This fortress was linked to prisons through famous Sighs Bridge. Grand Canal: - this is the canal having all types of boating facilities so visitors can take pleasure of boating in Venice. Bridge of Rialto (also known as Ponte di Rialto): - this is the major bridge of Venice used to cross over the Grand Canal. This bridge is older than 400 years so tourist must not miss this spot. Next to this spot there is Rialto Market which is best place to buy stuff in Venice. The little shops with food market is diverse feeling so visitor should go to such spot as well. Galleria dell' Accademia: - people who want to learn about the culture of Italy should visit this Academia. This best art museum is having 24 rooms in 3 buildings. Travelers must reach the spot early to keep self protected from huge crowd reach every day. 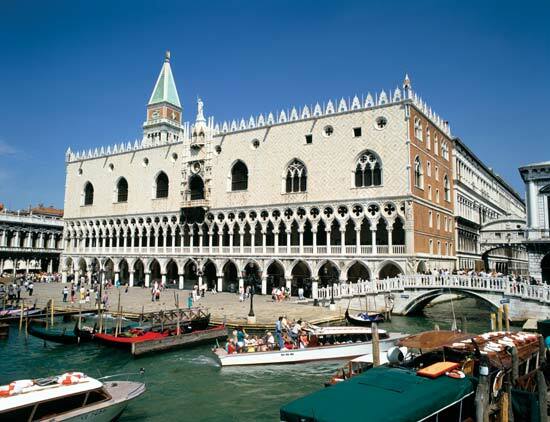 Venice's Islands: - once you reach the Venice, you should not miss the islands of Venice. The local tourist firms are having packages for one or more island visits in one or two day trip. Experts say 2 most beautiful islands of Venice are Murano and Burano as both islands are amazing tourist spots. By Air: The closest and best airport to reach Venice is Marco Polo Airport. 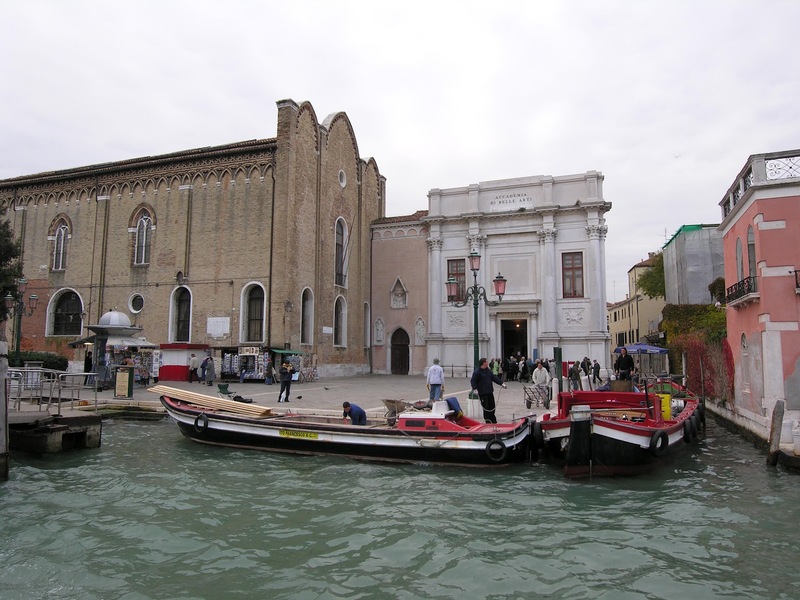 It is close to Mestre city where tourist will get the local city buses to reach Venice. 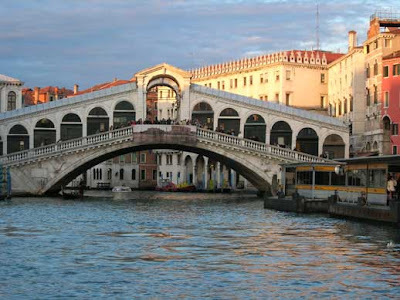 Some more known airports to reach Venice are Treviso and San Nicolo. By Boat: Venice is watery city so reaching the spot through boat is another best transport method. Alilaguna water boats are available at affordable cost so tourist can enjoy the boating while traveling to their favorite world tourist spot. Boat from Murano is also available for Venice city. The best part of Venice is tourist will get the water bus from Mestre city that means people have the option to get boat from the place near to airport. By train: the closest big railway station to reach Venice is Mestre. From this spot tourist can hire water taxis or buses to attain the destination. Rome (also known as Roma) is the excited world tourist place. It is placed on 39th position for tourism in the world and approximately 4 million people are reaching this spot every year. 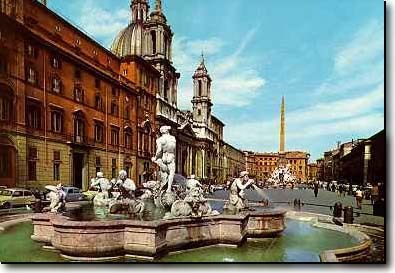 The busy life of Rome makes it all time available cities for travellers. Here the visitors can enjoy some stunning ruins and structural designs of different ages. This amazing metropolis is having vital importance in Italian history. Travelling to all spots in one day is impossible in Rome so visitors should plan their trip before deciding the Rome visit. Spending minimum 5 days in this city could allow visitors to enjoy each spot properly. The countless squares have churches, statues, museums, monuments and ruins that require more time to visit. 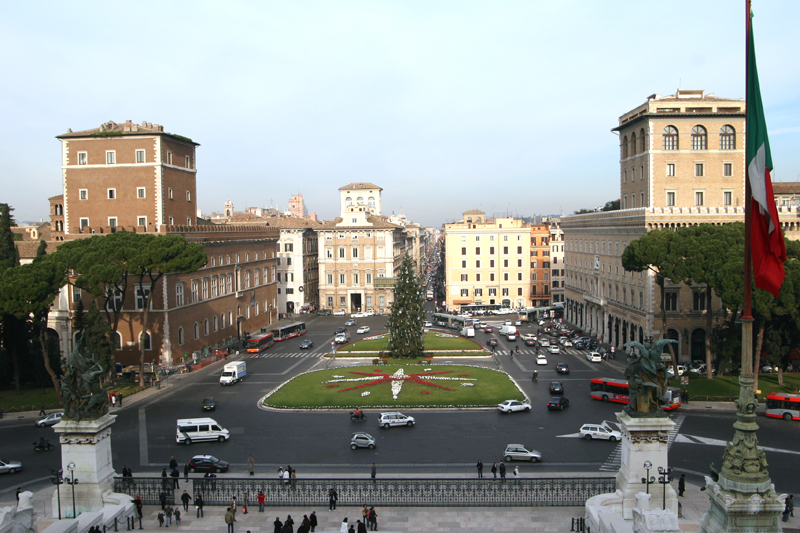 Some spots are most demanding tourist places of Rome so visitors should not miss them. Rome's tourist spots are very attractive and because of that, lots of Hollywood and bollywood movies have placed these spots in their movies. 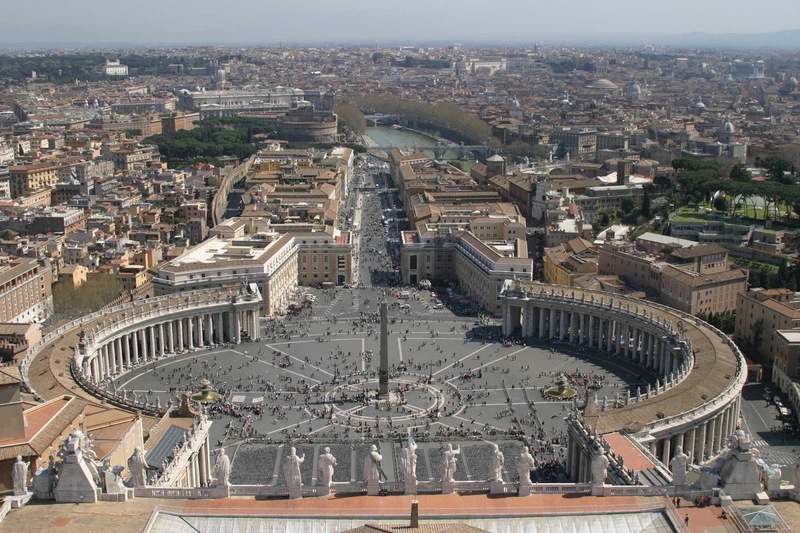 The Vatican and St. Peter Museum are elite spots of Rome. 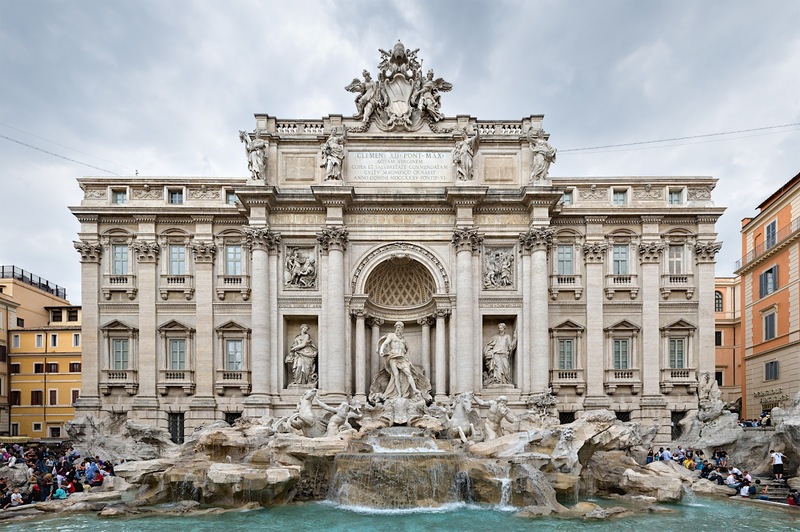 Other known places are Sistine Chapel, the Trevi Fountain, the Pantheon, Piazza Navona; the Spanish Steps, the Colisseum, and the Roman Forum. 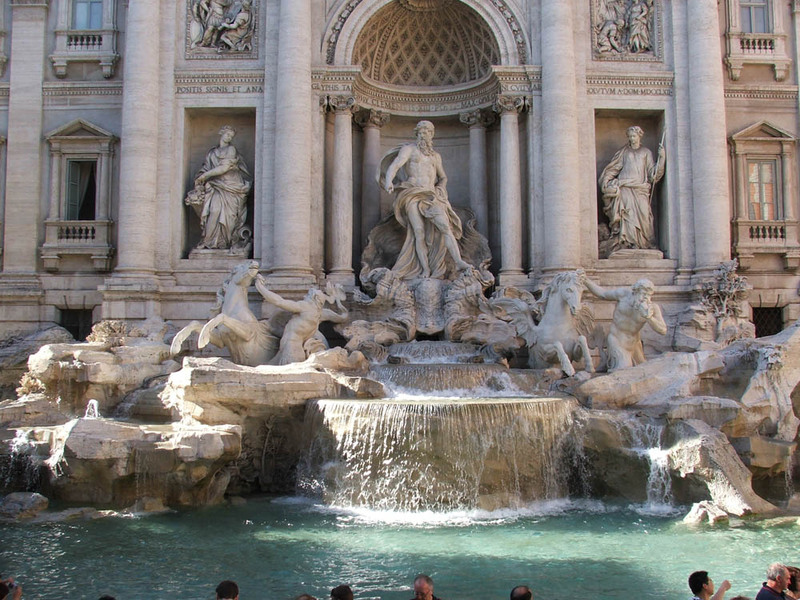 Tourist can enjoy the Rome traditional food, music and dance at various restaurants, pubs, shops, and hotels. 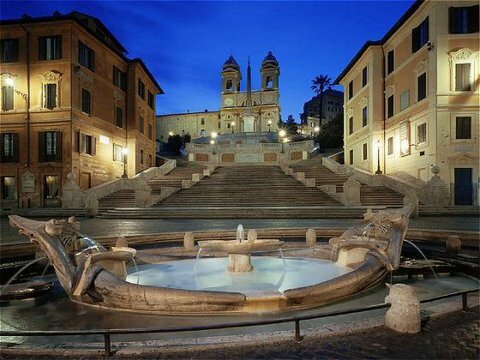 Roma is most demanding vacation spot on earth. Experts say every person should visit Rome once in their lives. 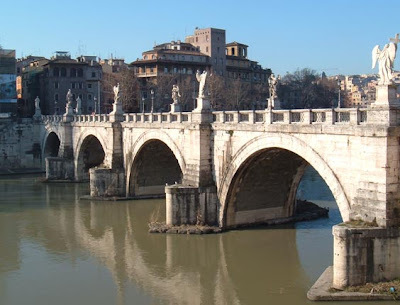 The moments will become memorable in Rome due to amazing tourist spots. Its architectural designs make it different than other world tourist places. The Pantheon: this ancient building is the best secured memorial of Rome. 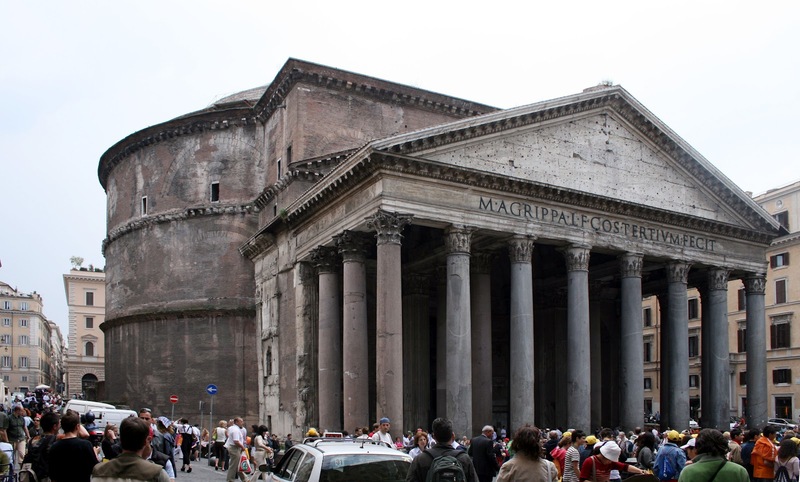 It was reconstructed by the Ruler Hadrian in 120 ADs. The striking interior of the building with beautiful dome is perfect spot for visitors. The architecture of Pantheon is simple but very affecting. Here tourist can watch the Raphael's tomb and Vittorio Emanuele II tombs, which are amazingly designed and well maintained by the local government. 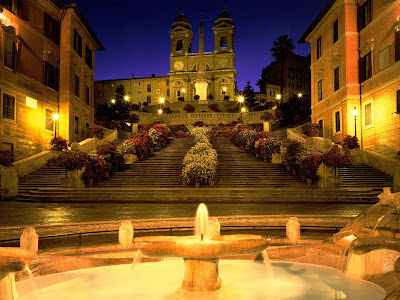 Spanish steps also known as “Scalinata di Trinita dei Monti”: Spanish Embassy identified the place as Spanish steps located in a piazza. Summer's season is the best time to visit these steps as the decoration of steps is done with rows of flowers in two different parts. The steps end to stunning church “Trinita dei Monti” situated on the top of the steps. 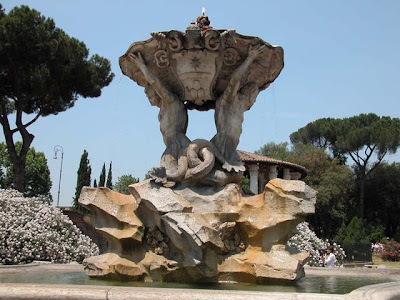 At the starting point of steps, old boat fountain is constructed (known as “Fontana della Barcaccia” in Spanish language). 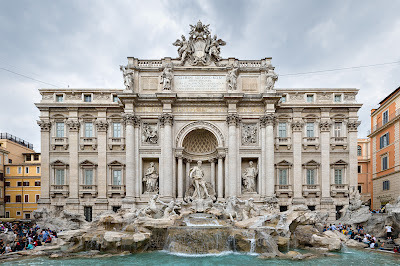 Trevi Fountain (Fontana Di Trevi): the amazingly designed fountain Trevi is the next tourist spot of Rome. 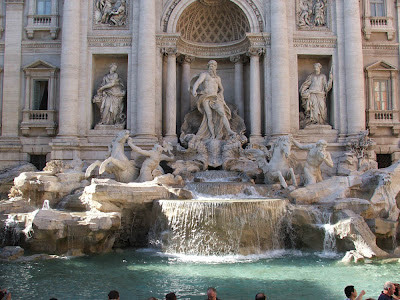 Tourist who has visited “La Dolce Vita” will easily identify this tourist place easily. It lies in the square of “Via del Tritone” and designer is Nicola Silva. This fountain is having some religious feelings in Rome's people. This spot is mostly crowded as people really enjoy visiting this spot. Visitors will find people from different nations at this spot so watching different people at the stunning spot could be different experience. 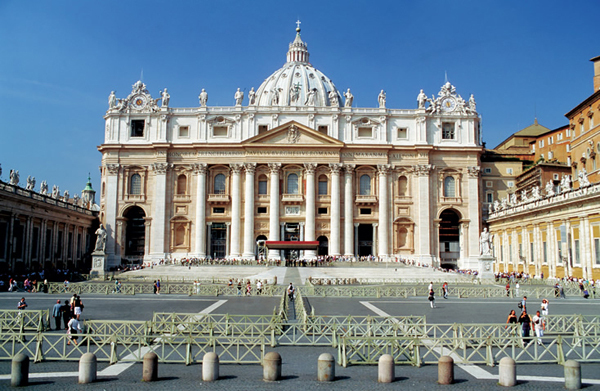 St. Peter Basilica (also known as Basilica di San Pietro): This is the most impressive church of the world with immense dimensions. 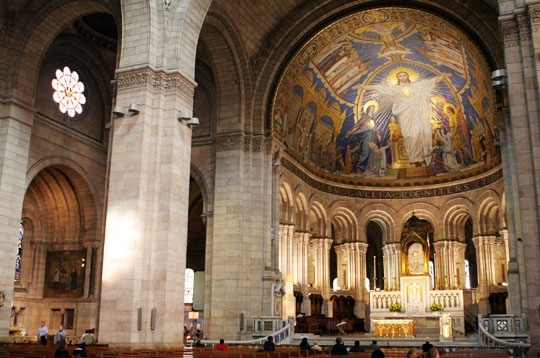 The huge and imposing structure of church makes it different than world's other churches. This is really the oldest church as it was restructured in 17th century by Michelangelo and Bramante. Michelangelo's pieta near the entrance of church is amazing. 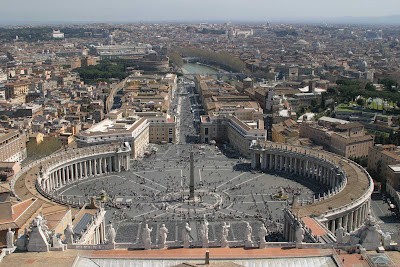 St. Peter's Square (identified as Piazza San Pietro): This superb piazza was planned by Bernini and was ended with construction in 1667. This square can hold around 400.000 people at a time. Its ellipse shape on every side with a curve pair of quadruple arcades and saints statues give different feeling to watch. In the centre of square people can enjoy the obelisk brought in AD 37 from Alexandria. The two striking fountains are so special too. Colosseum (also known as Colosseo): this memorial was begun in 70 ADs by ruler Vespasian, though inauguration was done in 80 ADs. Watching show of the gladiator battles which took place in the stadium is a famous form of entertainment here. 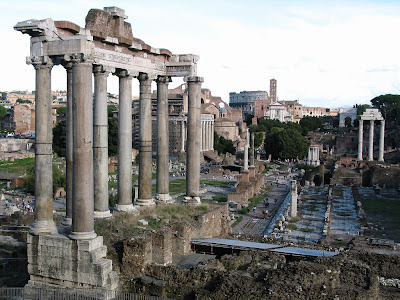 Roman Forum known as Foro Romano: it was the heart of the Republic Roma and was filled with shrines and citadels. Here tourist must watch Septimius Severus arch, which still stands. People want to learn about Rome's history must visit this place. Venezia Piazzale: Venezia square is the huge, and the busiest piazza where people from different streets meet. Watching huge monument of Vittorio Emanuele II is special at this spot. Del Popolo Piazza: this is another stunning square of Rome that effects of the 2 most known churches of Rome. 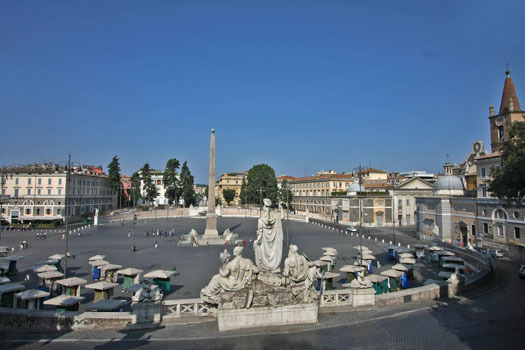 This square was formed in 1538 by Latino Giovenale Manetti. 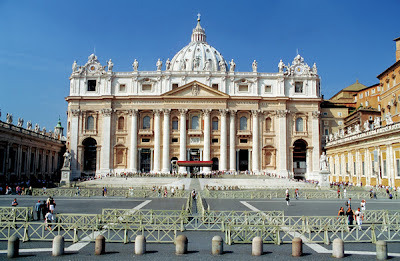 It was constructed for the Pope Paul 3rd. Four small fountains and a statue of the lion are very attractive placed in the middle. Trajan's column also recognized as Colonna Di Traiano: learning Romanian national pleasure is possible by visiting Colonna Di Traiano. 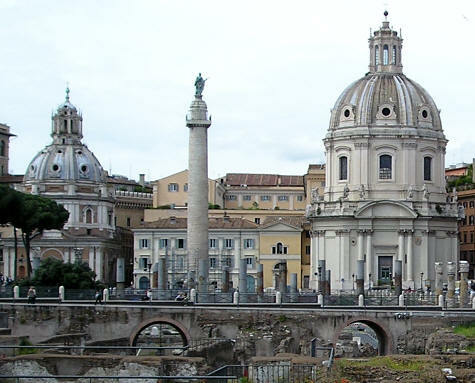 This world-famous monument is must watch spot of Rome. The construction of this memorial was done for armed operations and campaigns in Dacia (renamed to Romania). 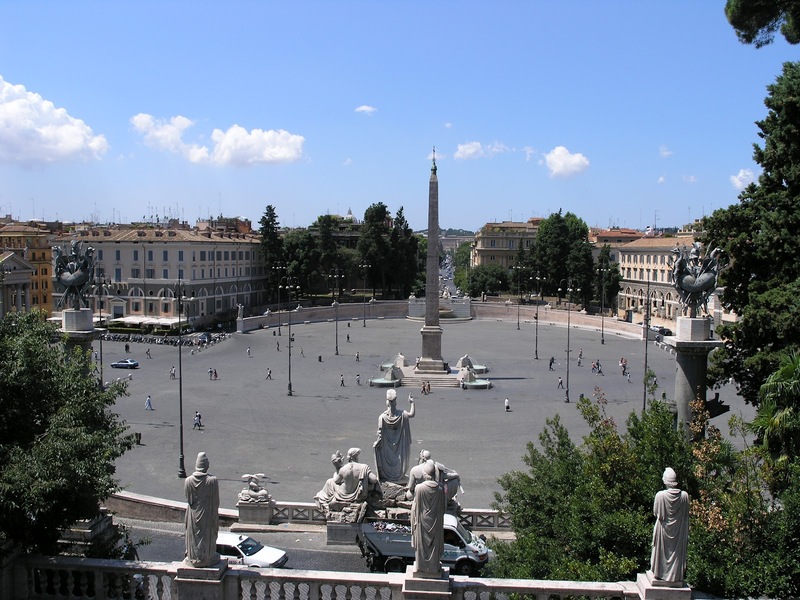 Navona Piazza: Navona square or piazza was constructed by 1st century of Domitian. Lots of carnivals are celebrated at this square specially 17-century, historic festivals and open-air sports were conducted at this place. This tourist attraction is famous for Italian cafes and Roman restaurants. Bridge of Angels and Castel Sant' Angelo: This is the citadel stand at the entry point of Vatican. It was constructed by Hadrian as a grave for his family. The grave was ended in 139, and many popular rulers were buried at this place. 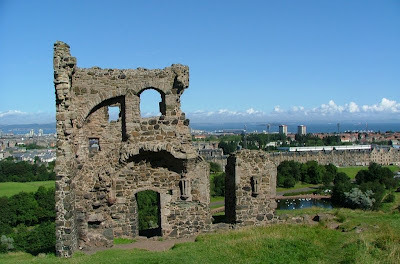 However, it was converted into the castle by the 6th century. 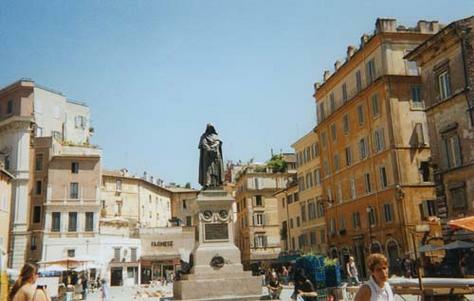 Campo Dei Fiori: This piazza is the home to popular sunrise market. Visitors can enjoy watching vendors by filling the stalls in Roman style. This market is kind of wholesale from where local traders get fruits, vegetables, spices, cheese, flowers and many other daily consuming products. Here the sculpture of Giordano Bruno is special to watch located in the centre of piazza. Bocca della Verita also known as Mouth of Truth: this place is situated within the area of church of 12th century known as Santa Maria. Lots of other spots in Rome are available for a tourist. Visitors can hire the guide to learn more about the Rome and amazing tourist spots of the city. Language: Italian language is little difficult to understand especially for a tourist from Asian nations. People should gather the Italian dictionary before reaching to Rome as that will help the visitors to understand the language. By Air: Ciampino and Fiumicino are two properly connected airports to reach Rome. Both are situated on outskirts, but experts refer them as the most convenient air heads to reach Rome. Some other known air heads to reach Rome are Leonardo Da Vinci Airport at Fiumicino and G.B. Pastine Airport at Ciampino. 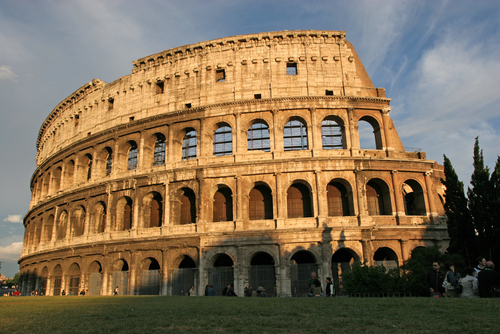 Flights are available with every 30-minute interval to reach Rome. By Rail: the closest railway station is Termini central properly linked to almost all rails from Italy and other cities. Getting Eurostar trains from northern Italy is the best source to reach this place. Trains are departing from Venice and Milan's stations to Termini. By Bus: tourist buses from major cities of Italy are reaching Rome so frequently. The neat and maintained roads of Italy allow visitors to travel smoothly by watching amazing natural beauty during the way. By Car: hiring the car or travelling by owns a car is also the best method to reach Rome. Motorway A1 is directly reaching to Rome, though some tollgate will come to reach the city. 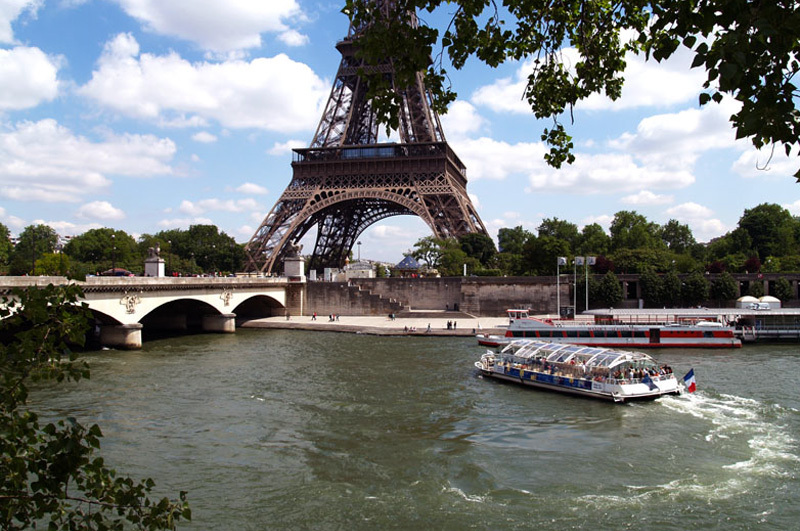 The world-famous tourist place Paris is first choice for honeymoon lovers. Paris is the well-known capital of France of Europe Continent situated on the Seine River. Paris is also known as art city of France and placed at 12th position for learning centres in arts. 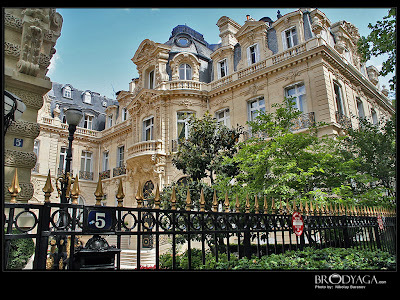 This world's foremost business centre is popular for cultural activities, and people are reaching throughout the world to Paris to several art activities. The headquarters of international associations like OECD, UNESCO, ICC (International Chamber of Commerce) and ESA (the European Space Agency) are established at Paris. 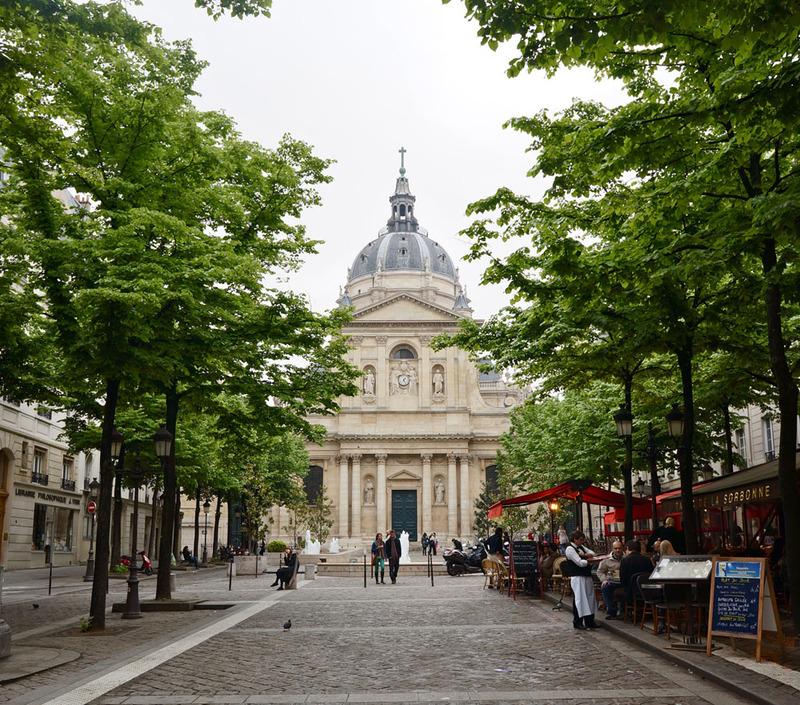 Experts call Paris as one of the most liveable and greenest cities of Europe. However, Paris is also listed as the most expensive city of Europe so a tourist must have to spend more money for vacations. Paris plays the vital role of the economy centre for Europe as it produced US $759.9 billion in 2010 by producing domestic products. 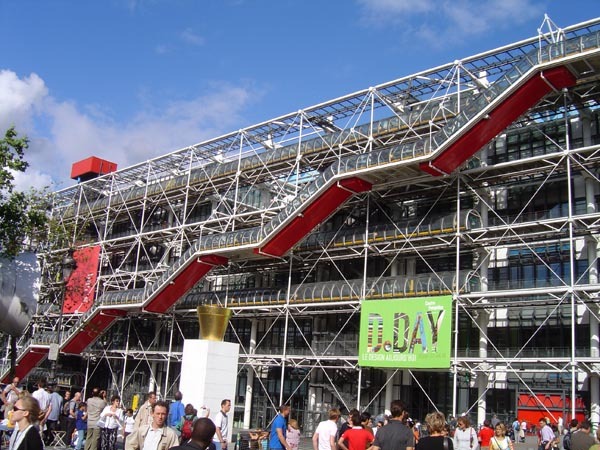 Countless research and development centres of Paris make it busier city of Europe. Approximately, 42 million visitors are reaching Paris every year, which makes the city the most favourite tourist spot. There are around 3800 historical memorials and four World Heritage spots of UNESCO. 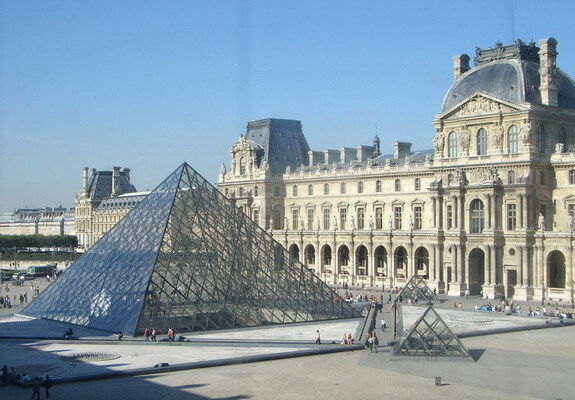 The Louvre: This is the spot where visitors can enjoy the painting, sculpture, decorative items of pre-20th century. Louvre is known as the most popular tourist spot of Paris and visitors must visit this centre. 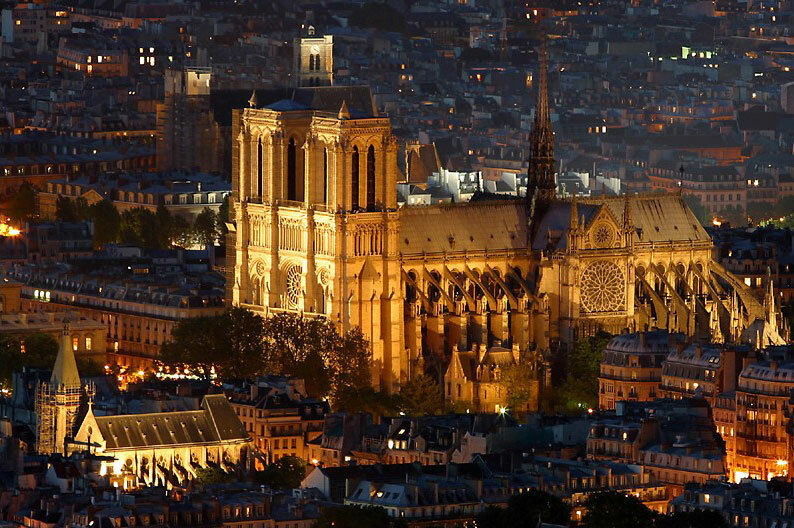 Notre Dame Cathedral: the spot of marvel gothic structural design is the next big tourist place of Paris. 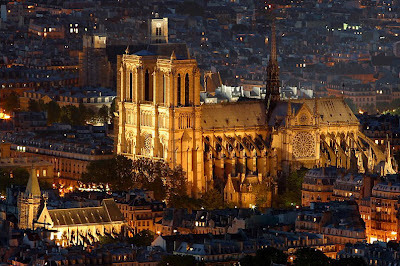 This most stunning cathedral of Paris is listed in top cathedrals of Europe. Special things to watch at this spot are dramatic towers, stained glass, spire and statuary. Approximately, 100 years and hard work of labour completed the structure of Cathedral Dame. North tower climbing from the hunchback is also the best spot of Paris, which is the breathtaking place. Eiffel Tower: Paris is known throughout the world for Eiffel Tower. 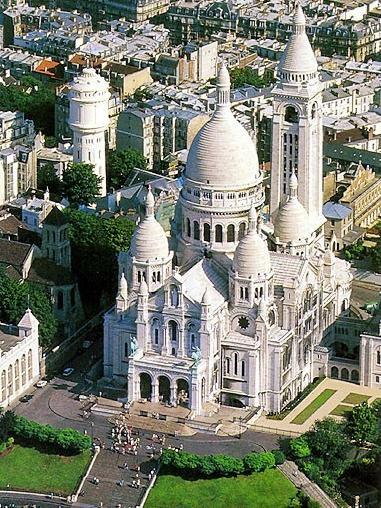 It is used as a landmark of the city represents the stylish and modern Paris to the world. The tower is made of iron, though it was constructed in 1889 as the world exhibition tower by Gustave Eiffel. Countless Hollywood movies have enrolled this tower for various scenes. 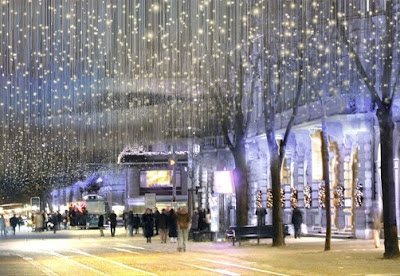 The festive lights at special occasions make it more beautiful, which attracts the visitors. 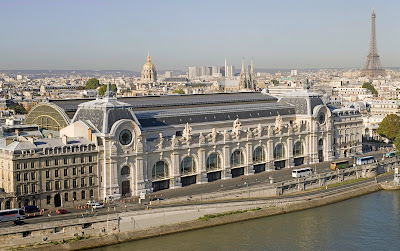 Musee d'Orsay: the next world tourist place added to the list is the Musee d'Orsay. Walking over the flyover from the Louvre and watching classical and contemporary art could be different experience for visitors. 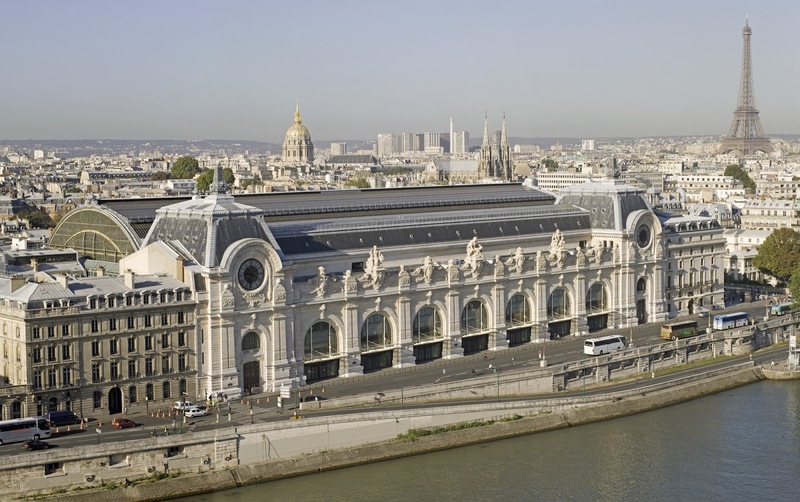 Orsay is the house of world's vital collection of mimic and post-impersonator paintings. The amazing air rooms on 3 floors of contemporary wonders and water lilies are special to watch in Musee d'Orsay. 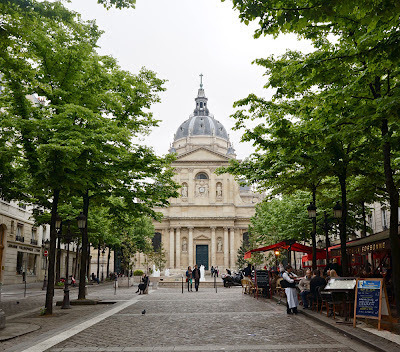 The Latin Quarter and Sorbonne: The University of Sorbonne is the momentous soul of the Latin. 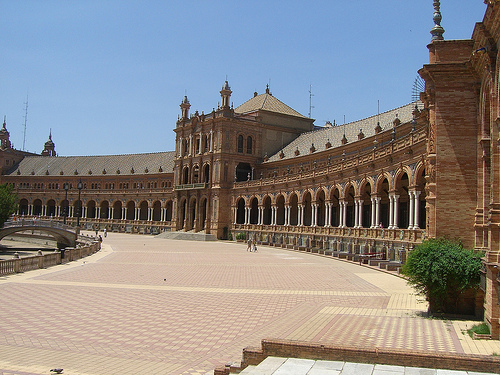 This university was established in 1257 for teaching the few students of theology. This Europe's oldest academia is constructed with old style, which allows the people to learn about ancient times of Europe. 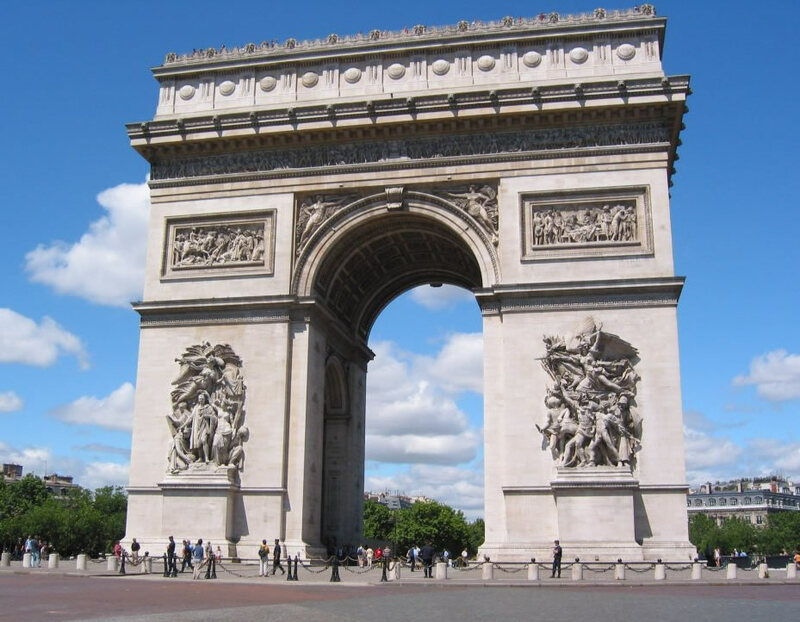 The Champs-Elysées and Arc de Triomphe: here the visitors can enjoy watching 164-foot arc de Triomphe specially made by Ruler Napoleon. The beautiful monuments of arch are made to honour the Napoleon’s soldiers and generals. Centre Georges Pompidou: to learn from the Parisians culture people should reach Centre Georges Pompidou. However, tourists have to reach the neighbourhood Beau Bourg for this museum. Sacre Coeur and Montmartre: this world tourist place is made of white stone. The scare Coeur is situated at the uppermost peak of Paris. The garish gold mix interior with theatrical terrace is special thing to watch at this spot. 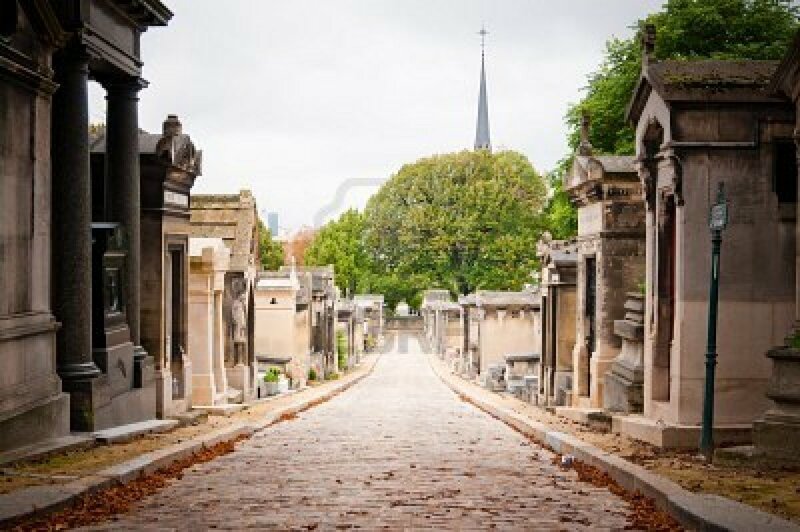 Pere Lachaise Cemetery: these are the finest poetic cemeteries of Paris containing countless popular statues. 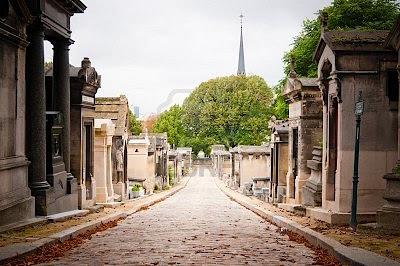 Jim Morrison was the doors lead singer of Paris, and his tomb is reserved steady by fans. 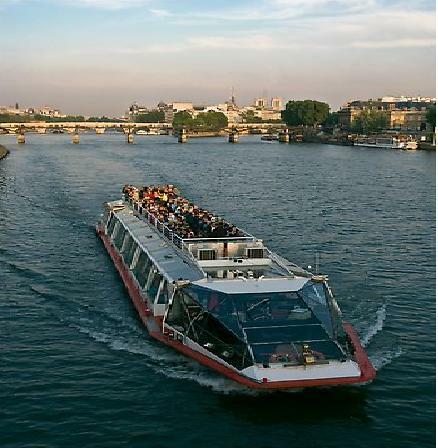 Touring Seine River by boat: the most amazing event in Paris is boating in Seine River. Some big companies like Bateaux Parisians are having package of 1 or two-hour tours of River Seine. By Air: the two major airbases of Paris are POIA (Paris Orly International Airport) and Charles de Gaulle's airport. Most of the international flights go through these airports such as Delta Airlines, Air France, British Airways, Air Canada, American Airlines, Continental Airlines, Cathay Pacific Airways and Lufthansa. The frequent flights from mentioned airlines permit visitors to reach the spot with no worries. Journey between London to Paris is just 1 hour by flight so reaching London from various parts around the world is the also best route to reach Paris. By Rail: the major 6 railway stations of Paris are directly connected with various parts throughout the country. Direct train to London and other European capitals permits the tourist to reach destination easily. By Road: those who love to travel through road can connect to Anglo-French tunnel, which connects the Paris to Kent in the United Kingdom. Skaftafell is the wonderful island of Europe continent having countless tourist spots. The natural beauty of this place makes is very special then other world tourist places. This island is the conservation area in southeast Iceland, Europe. It is the mansion farm, and the national park created by nature. This Iceland is mostly covered with ice so natural beauty, and the greenery with ice covered is special thing to watch at this place. Here the accommodation is available but visitors must book the room in advance because sometime the tourist face problem to get the booking in the hotel. This secret place of tourism is having numerous natural spots. 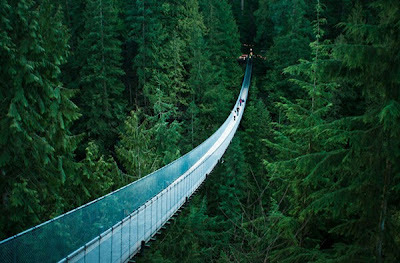 After seeing the images everybody would love to visit this place specially those who are nature lovers. The glaciers of the island are beautiful so enjoying at this place is definitely going to make the moment memorable. Here tourist can try for precious natural pearls found at various spots. Experts call this island as pearl's country. Some of the key spots are mentioned in this short note. There are two major spots where a tourist can visit. These spots are Atlantsflug and Lac "Polaire." Both destinations are special and really enjoyable locations. 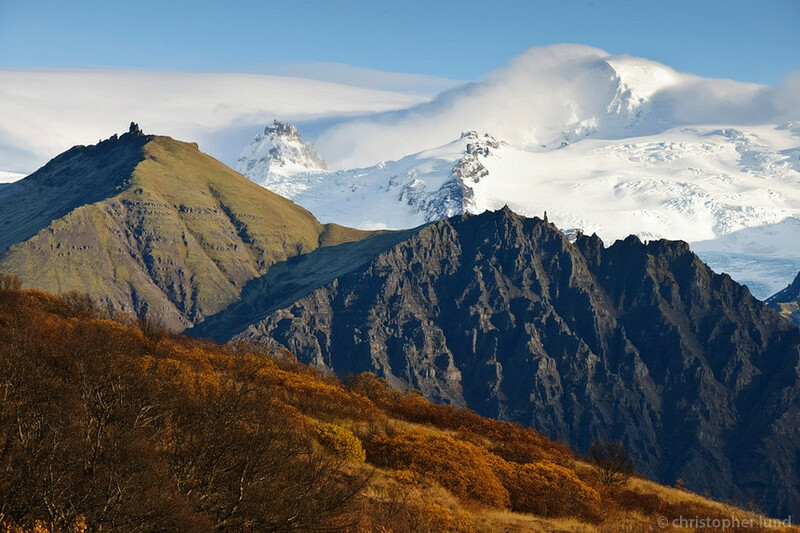 The best part is both locations are inside the Skaftafell National Park. 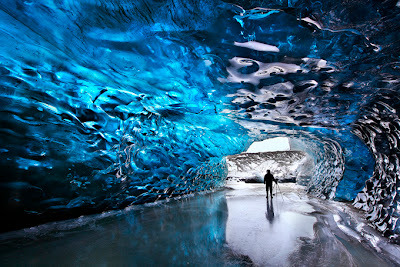 The climate of the place is really cool but comparing to other ice lands it’s quite affordable. Visitors must take their warm clothes while reaching to this amazing place. Here tourist can enjoy the hiking and many sport events. Tourists are definitely going to love this place because of wonderful spots and ice beaches. Some other things to watch at Skaftafell Island are ice-burgs, and Senderismo junto glacier. Spending time close to Morsá glacial river is also special thing in Skaftafell. The nearest town to reach Skaftafell is Kirkjubæjarklaustur located just 69 kms away. Reaching Reykjavík is the also better way to attain to Skaftafell. Tourists have to travel for 203 miles from Raykjavik to Skaftafell. By road is the easiest way to reach this world tourist place. Approximately, 4 hours time is required to reach Skaftafell from Reykjavík. Booking the bus at Vatnajökull Voyager is the best way to reach this place without any worries. Booking the seat in bus should be done in advance, and the bus will take approximately 4 ½ hours to cover the distance. Spain has turned as the biggest state of tourism in Europe. Today it is the 2nd largest tourism spot where people are reaching from every corner of the world. Spain was urbanized all through the final years of dictatorship of Francisco Franco. 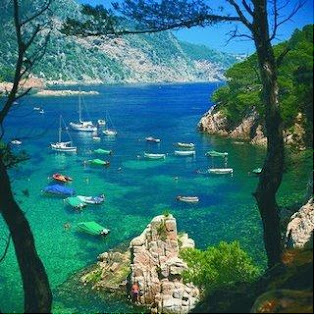 Sooner Spain becomes the famous tourist place, especially for summer vacations. The large amount of people from British Isles, Central Europe, France and Scandinavia are reaching Spain to make their holidays special. As per records, Spain becomes the 2nd most visited nation in 2007 following France. Approximately, 60 million tourists from different countries visited Spain at such period. The data was provided by WTO (World Tourism Organization). However, the visitor list was reduced in 2010, and Spain becomes the 4th country for tourism. USA and China got the place with approximately 53 million tourists in one year. The major attraction spots in Spain are resorts and beaches open for throughout the year whereas the TNP (Teide National Park) is one of the most visited parks of Spain. The major economy of Spain is generated by this park. The finest beaches and the beautiful Islands such as Balearic and Canary are attracting visitors throughout the world. The moderate climate of Spain allows people to enjoy the beach's whole year. Mediterranean beaches are more popular comparing to other beaches of Spain. Resorts for summer in Spain are famous too. 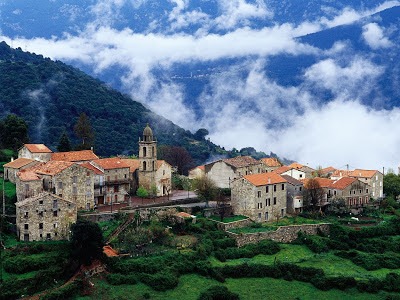 The Costa areas of Brava, Daurada and Del Maresme of Catalonia are famous for a tourist, especially from Spain and France. Salou resort of Barcelona is another favorite tourist place for local as well as outsiders. Here tourist will watch the largest harbor of Spain. 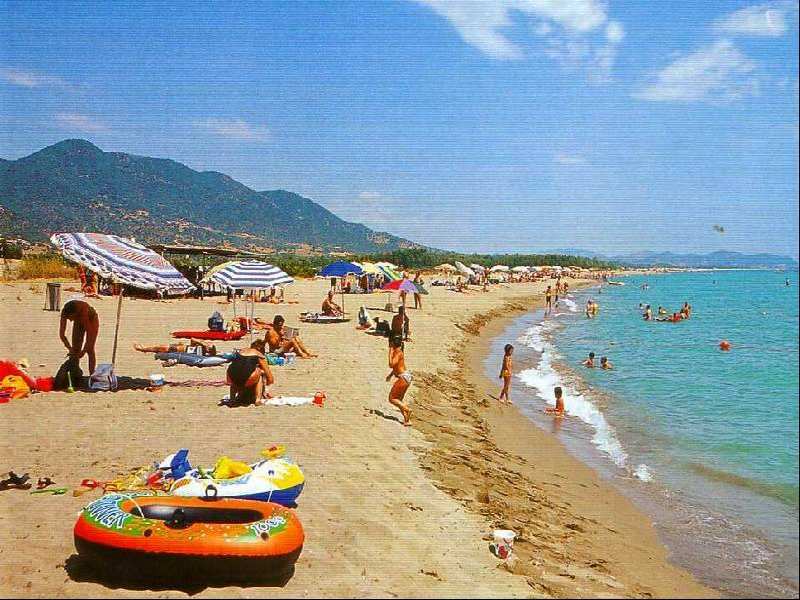 De Valencia Costa and the Blanca Costa are another two most developed and famous coastal areas. Both spots are awfully famous for tourism, particularly from UK and Germany. The leading summer holiday spot of Spain is Benidorm of Valencian Society. Spain is full of tourism spots so discussing about the single place is not possible. The Cálida Costa of Murcia, Coasts of Mediterranean and the Small Sea (Mar Menor) are best examples of best Tourist Spots of Spain. There are two archipelagoes in Spain one is the volcanic Island Canary situated in the Atlantic, and the other is Balearic Islands situated in Mediterranean. 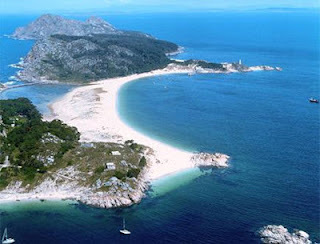 Both archipelagoes are famous with foreigners as well as Spaniards. The list of tourist spots in Spain is longer so discussing each spot require lots of Time. The other spots of Spain will be discussed in other posts on this blog. Scotland County is the part of UK. This famous world tourist place shares the border with European country England in south, though it is bounded with Sea in North and east. The Atlantic Ocean situated in north to west is special spot for the tourist. There are around 790 islands in Scotland counting Hebrides and Northern Isles. 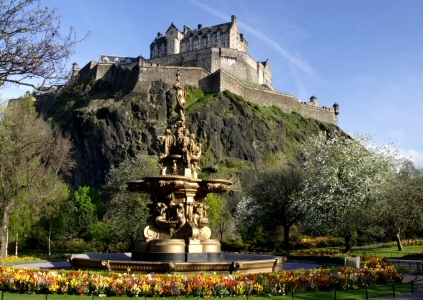 Edinburgh is the capital of Scotland, which is also the second-largest city. There are countless tourist destinations in Scotland; tough discussing each area in detail is impossible. This short note is about the Edinburgh city which is also the largest economic centre of Europe. 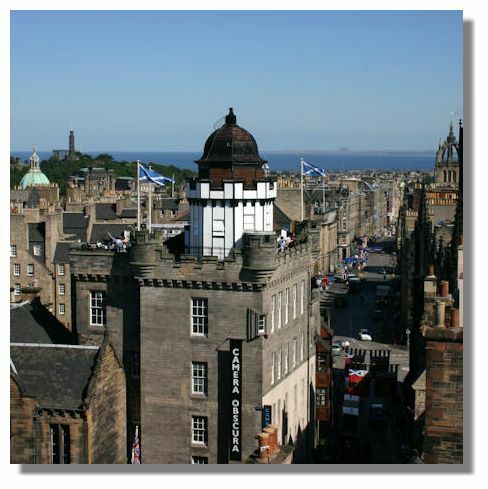 Edinburgh was the major powerhouse of Europe in 18th century so countless industries were established in such period. Arthur's Seat: this is the most attracting place of city situated on four hill forts. 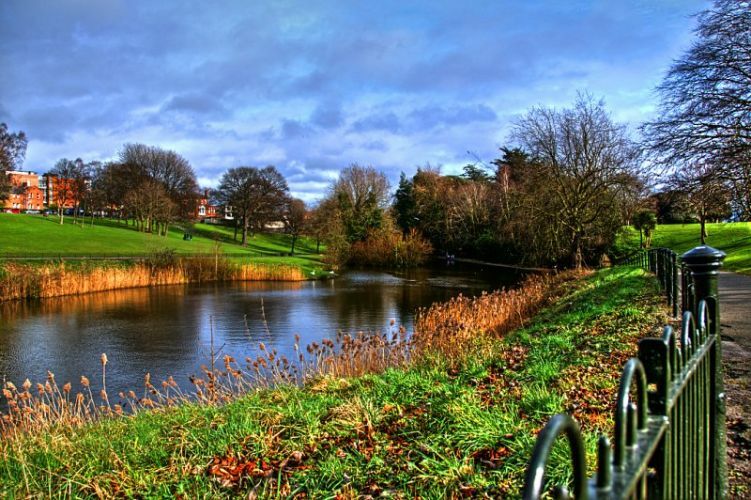 The seat is around 2,000 years old located within Holy Rood Park. This rich cultural place is having parks, volcanic geology, wildlife and supreme vistas. Edinburgh Military Tattoo: this is another tourist place of Edinburgh famous for military musical performances. Hearing the pipes, drums and fireworks at this place is common thing. 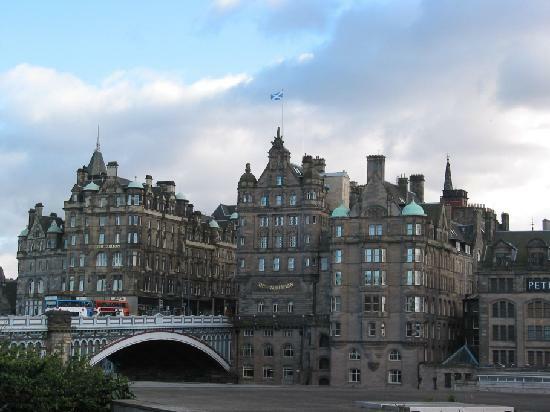 Experts have ranked this place as 2nd the most favorite tourist place of Edinburgh. National Museum: the third most demanding tourist place is the national museum of Scotland situated at just 0.5 km distance from the city. The natural world and historical things are available in this museum. 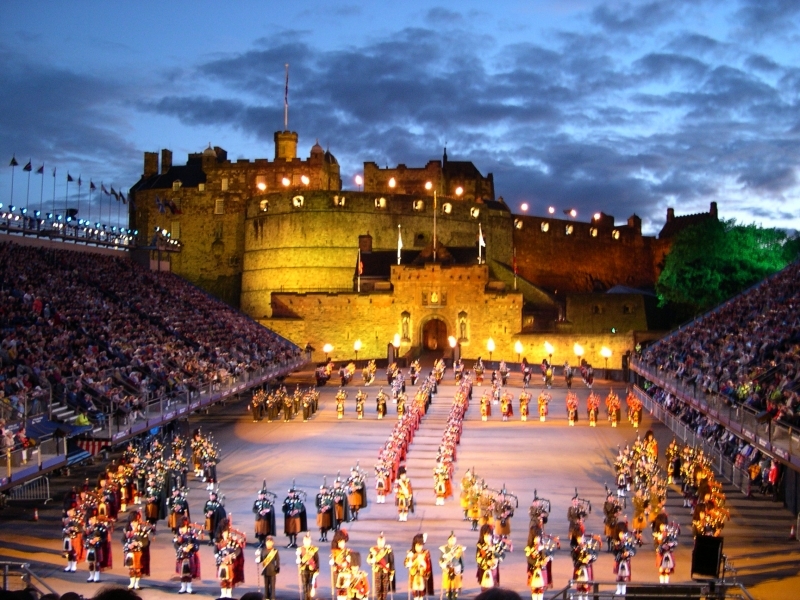 Here people can learn about the culture, science and technology achievements of Scotland during different periods. World of Illusions and Camera Obscura: this spot is special destination for tourism. Youth will enjoy more at this place because of Specialty and Science Museums. This spot is just 0.3 kms away from the city centre. Here tourist can enjoy the unique 360° view of the city from the Camera Obscura. 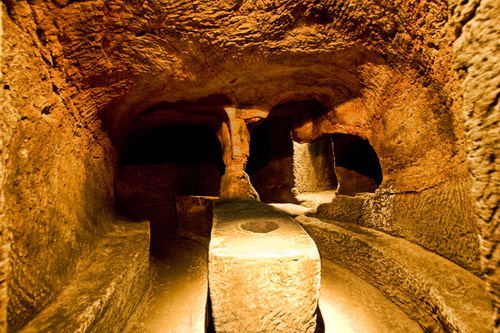 Gilmerton Cove: experts place this spot at number 5 as the best tourism spot of Edinburgh. This historical place is just 6.5 kms away from the city. 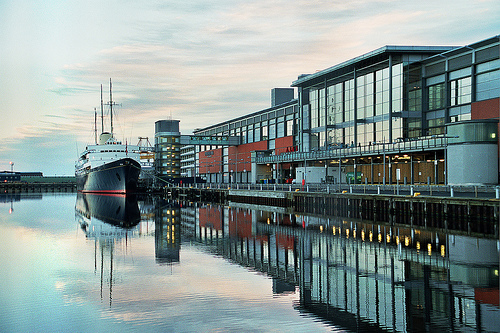 Royal Yacht Britannia: this tourist spot is only 3.9 kms away from the city. Britannia is the best tourist attraction place of Scotland providing naval and royal memories of the city. Tourist can enjoy ship's journey through this place. Tourist can learn the Royal Yacht Britannia life at this place. 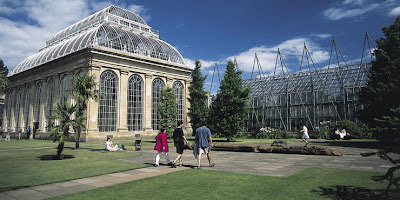 Royal Botanic Park: the garden with greenery everywhere is special thing at this place. This botanical garden is just 1.8 kms distant from the city. Entry from the glasshouses is special thing at this garden. 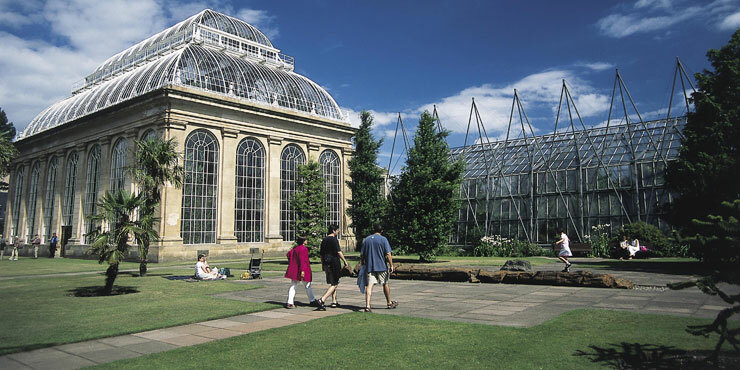 Covered in 31 hectares space allows visitors to enjoy the greenery of Edinburgh. 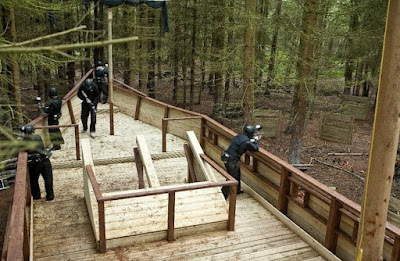 EDFP (Edinburgh Delta Force Paintball): next place to visit is EDFP ranked as 8th number in tourist spots list. People love delta force games can enjoy the sets and rounds at this place. This game's spot is situated at outskirts of the city situated in Bathgate hills. There are many other spots where a tourist can visit such as Inchcolm Abbey, Xtreme Karting, Holyrood Park, National Portrait Gallery, International Climbing Arena, Holyrood House Palace, Scottish National Gallery, Princes Street Gardens, Calton Hill, The Film house, National War Museum, Royal Mile, Edinburgh Castle, St. Giles Cathedral, Old Town, St. Mary's Cathedral, Surgeons' Hall, Craigmillar Castle, Scottish National Gallery of Modern Art, Royal Museum, Georgian House, Scott Monument, Museum on the Mound, Cramond Village, Gladstone's Land, Dean Village, Greyfriars Church, Museum of Childhood and many other spots. Each spot is having dissimilar feature and most of them are capable of express the historical events of Scotland. 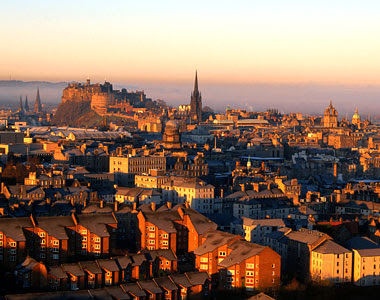 By Air: direct flight from London is available to reach Edinburgh. One of the busiest airports of Scotland is Edinburgh Airport offering 25 airlines to plan their flights. By Road: hiring the taxi to Edinburgh is the easy way to reach this amazing world’s tourist place. Fourth Valley route directly connects the Edinburgh to Aberdeen. Tourist can hire the taxies from England as well to reach this favorite destination.